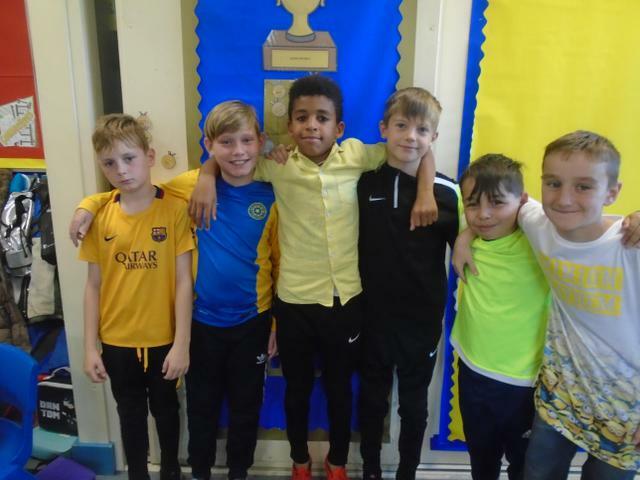 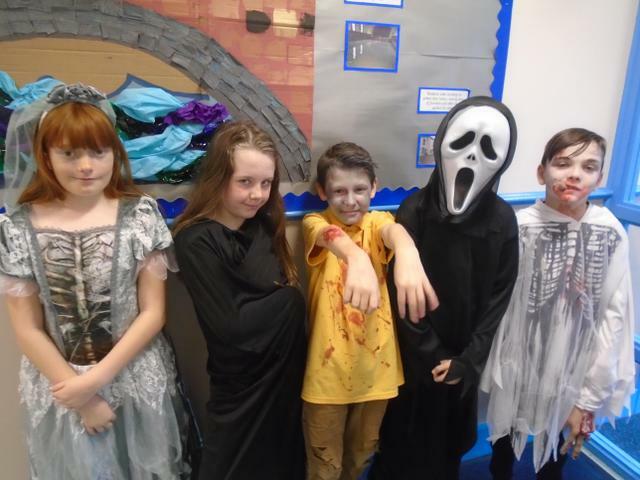 Welcome to 5/6K's webpage - over the year we will post regular updates on here about all the fantastic learning we have done. 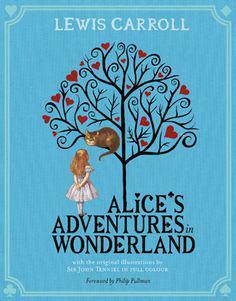 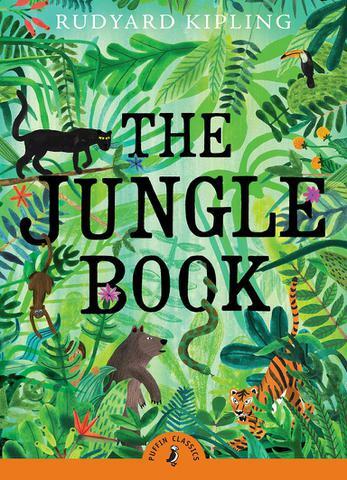 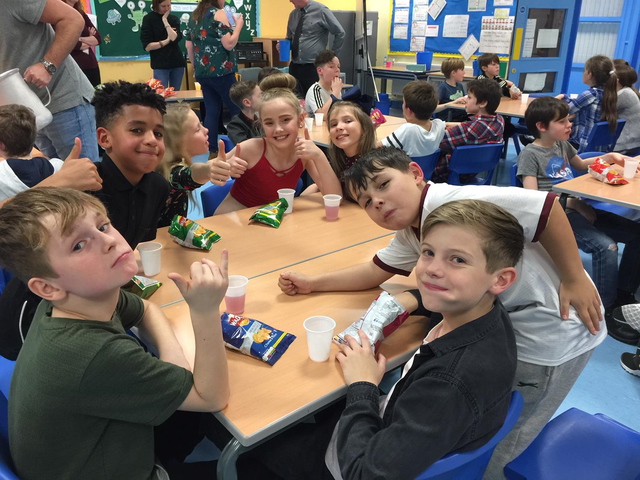 The themes for the summer term are Food, Glorious Food & Amazon Adventure. 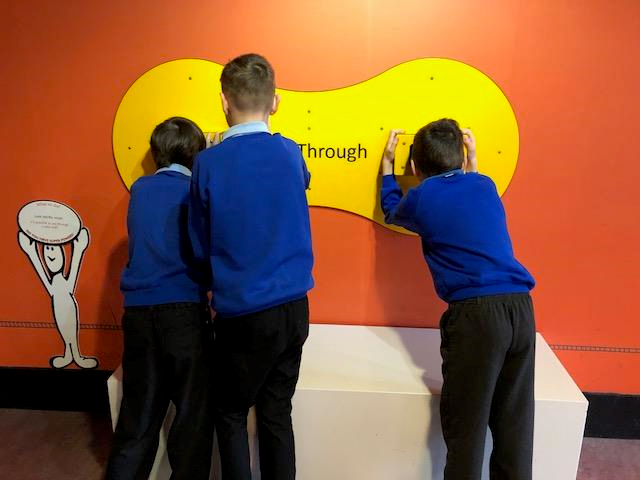 Our work will include a novel study, classic narrative poetry, forces & movement and art based on the work of Giuseppe Archimboldo. 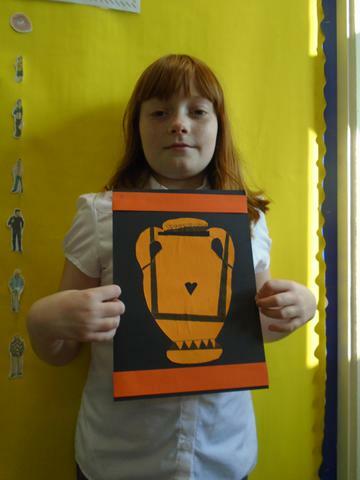 Take a look at the summer term curriculum cloud for more details. 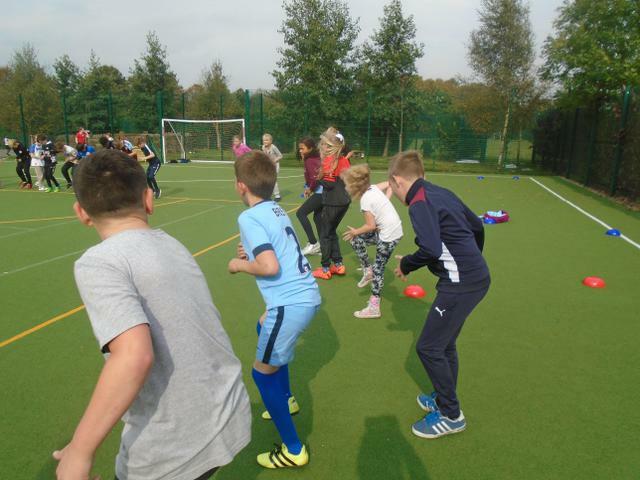 PE will still be on a Tuesday afternoon with Miss Starkie. 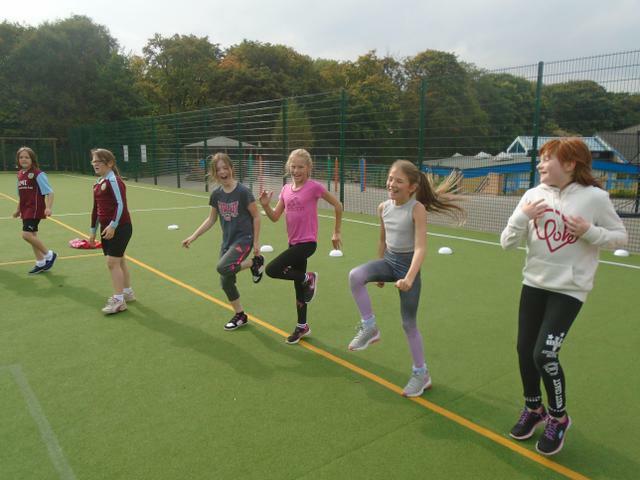 PE is an important part of the school curriculum and all children are expected to take part. 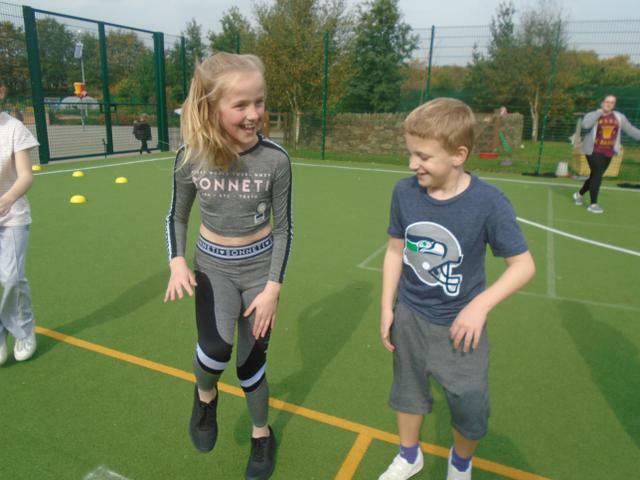 Everyone will need to have their full PE kit in school to make sure that they don't miss out on any of the fun. 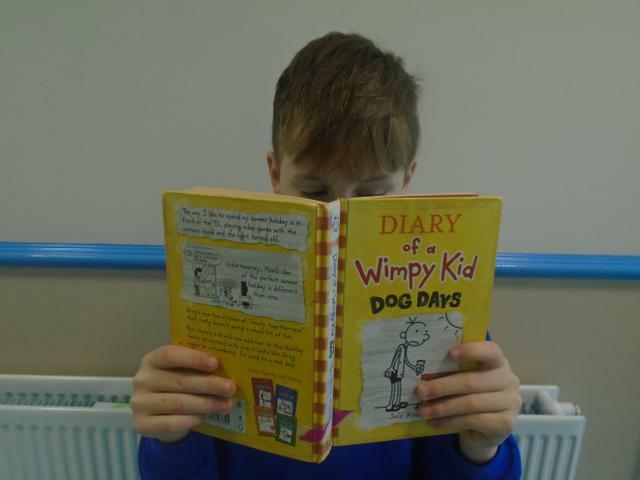 Homework is sent home at the end of the week and is due back on the following Wednesday; homework will be linked to our work in class and will alternate between English, Maths & Topic work. 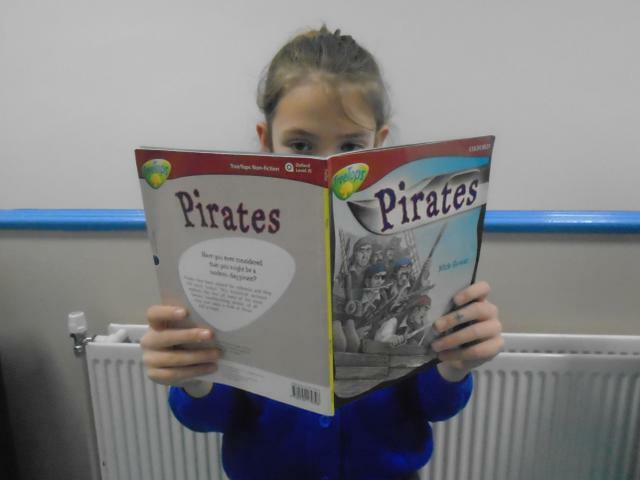 We will also be using our new online tools - MyMaths and Spag.com. 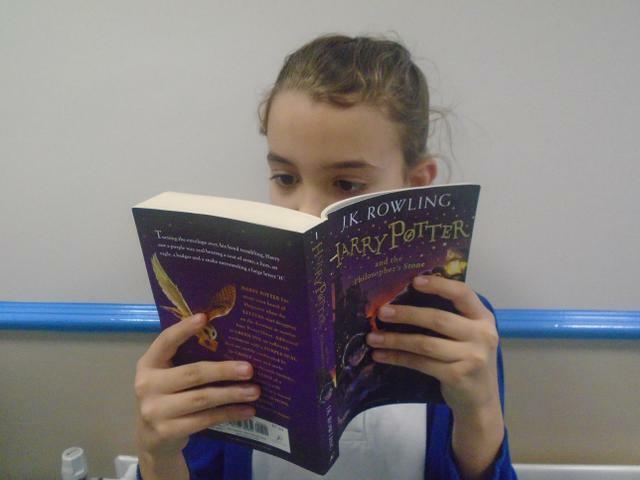 Spellings will also sent home each week and there will be a spelling test every Friday. 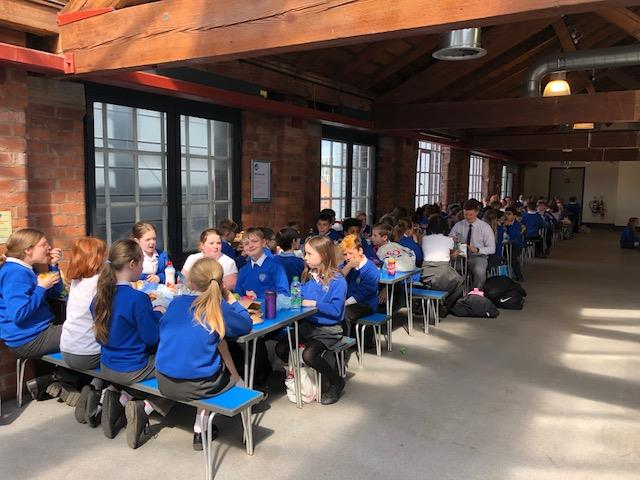 If you have any further questions please do not hesitate to come and speak to me at the beginning of the school day and remember to keep checking our website for all the latest information and photographs. 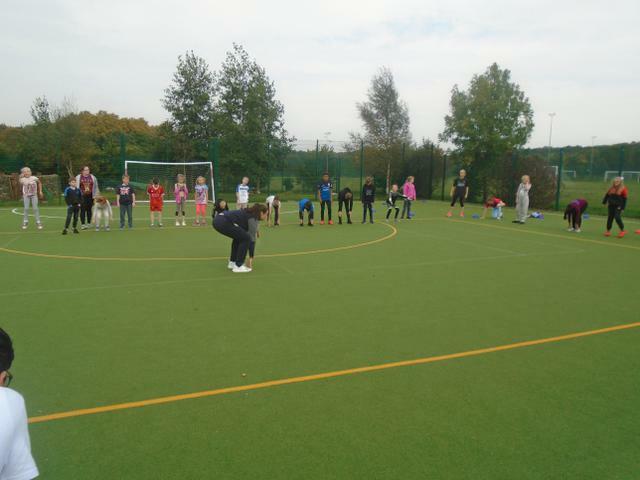 We had a fantastic morning learning basic first aid with Barry from Millie's Trust. 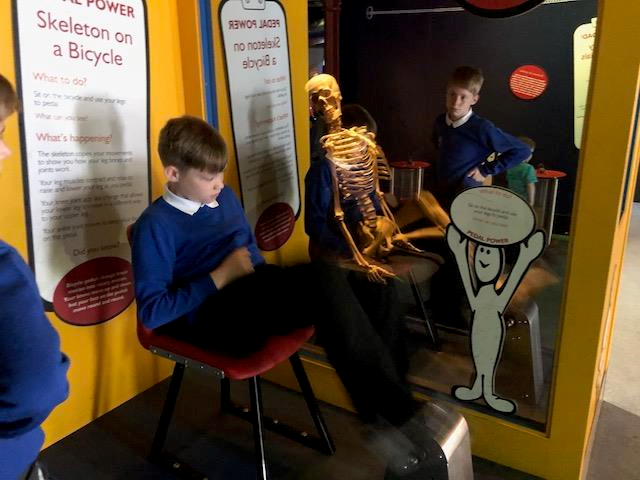 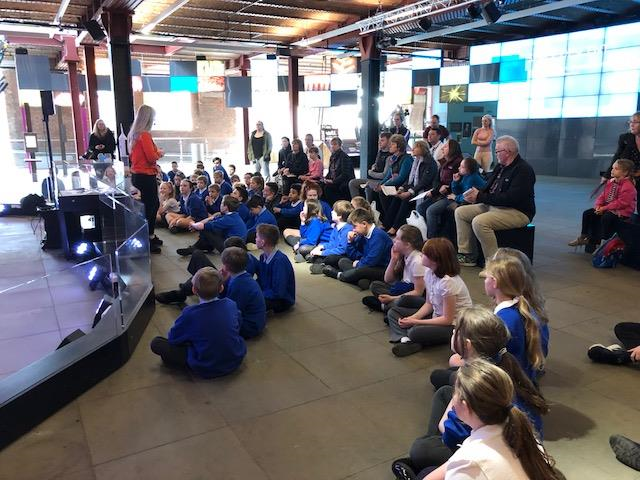 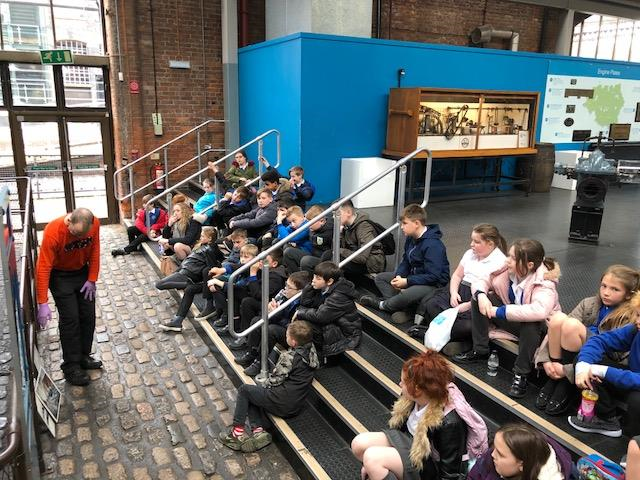 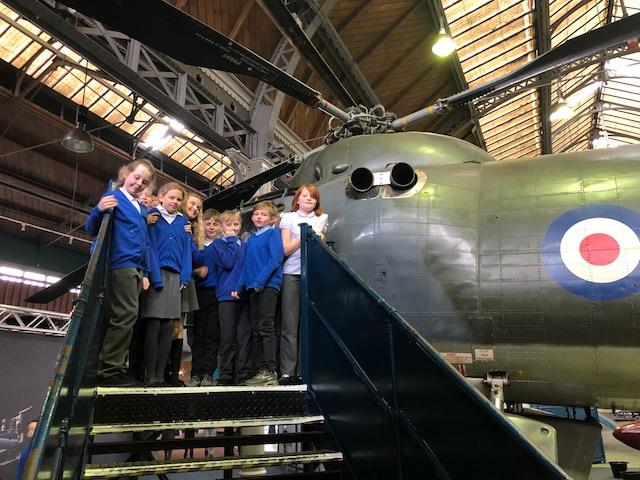 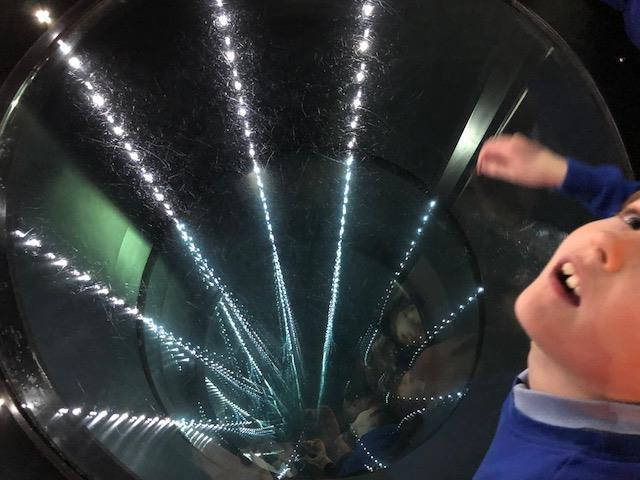 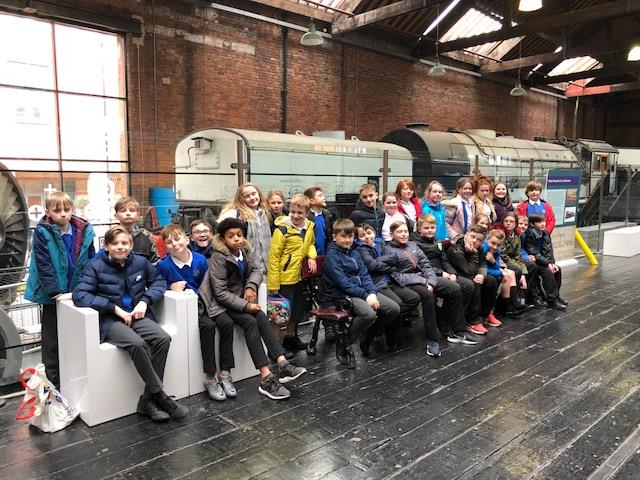 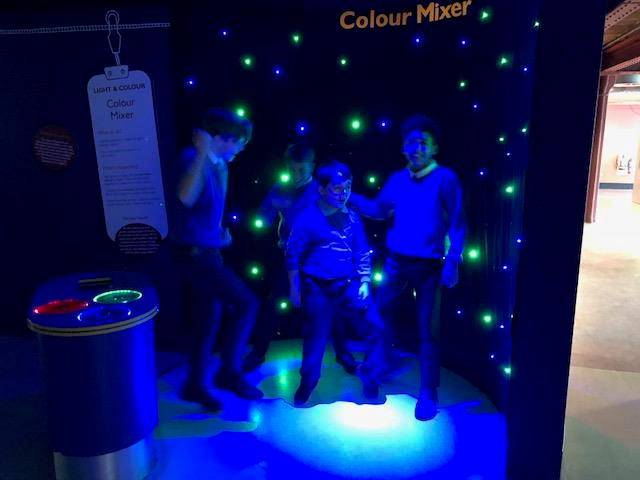 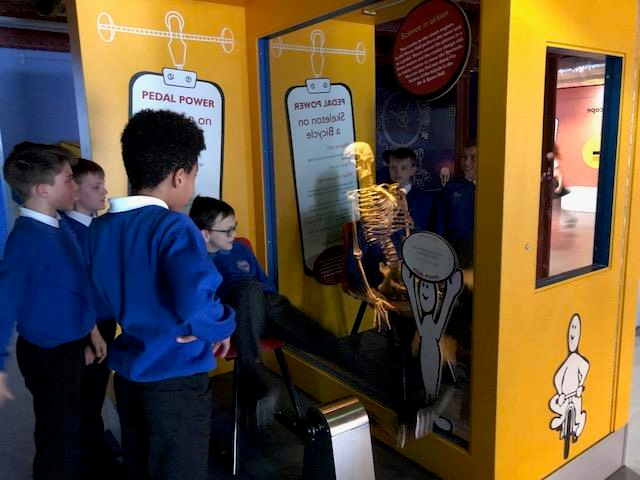 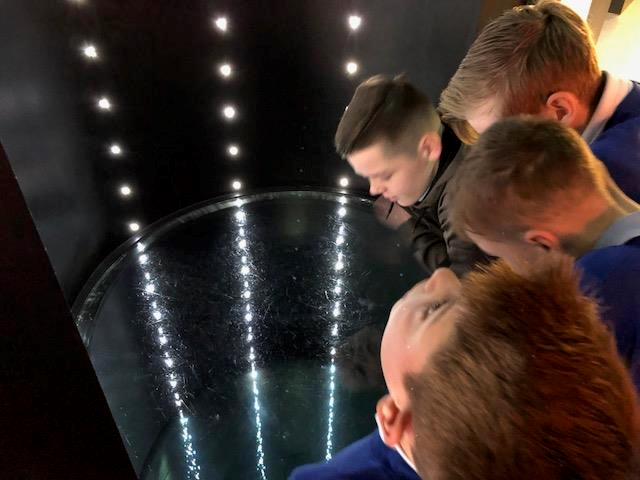 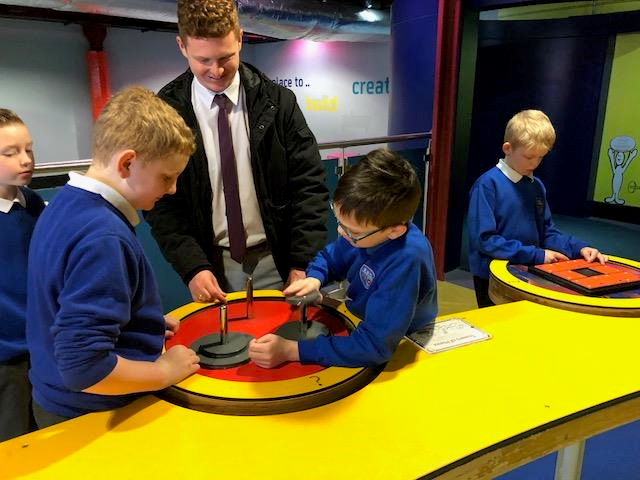 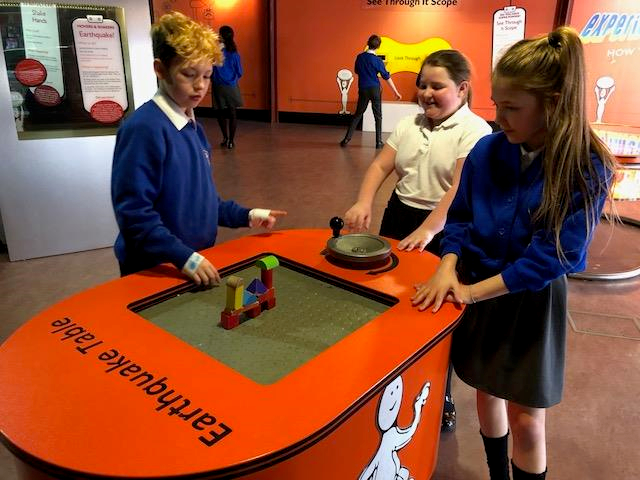 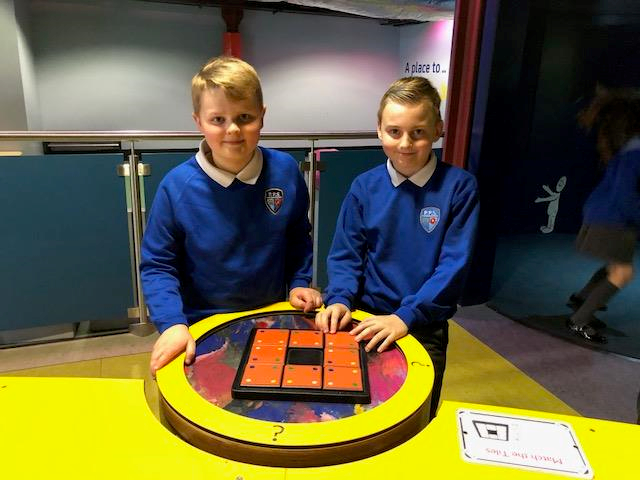 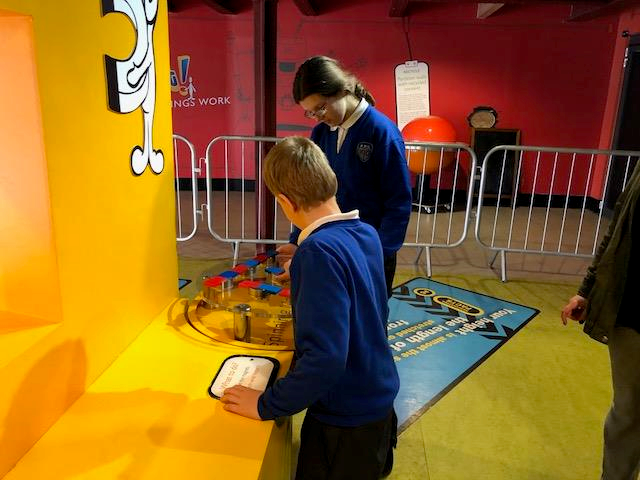 We all had a fantastic time at the Museum of Science and Industry in Manchester. 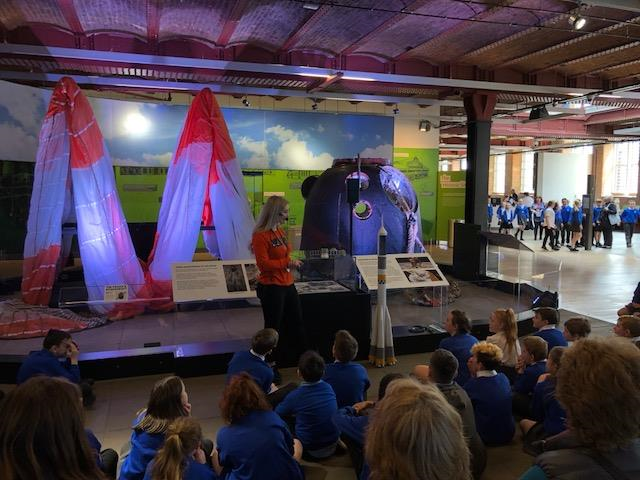 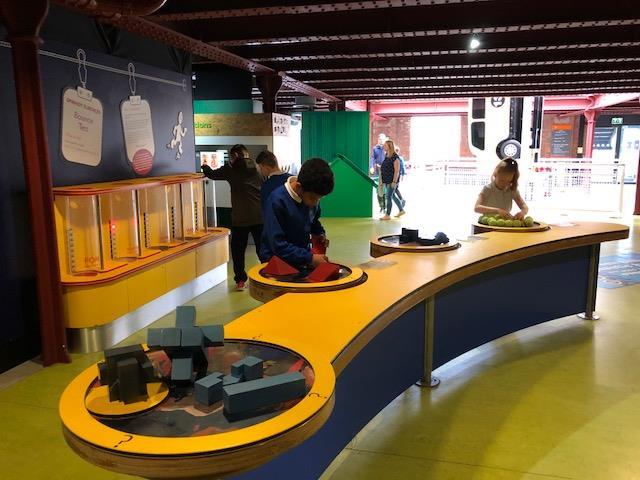 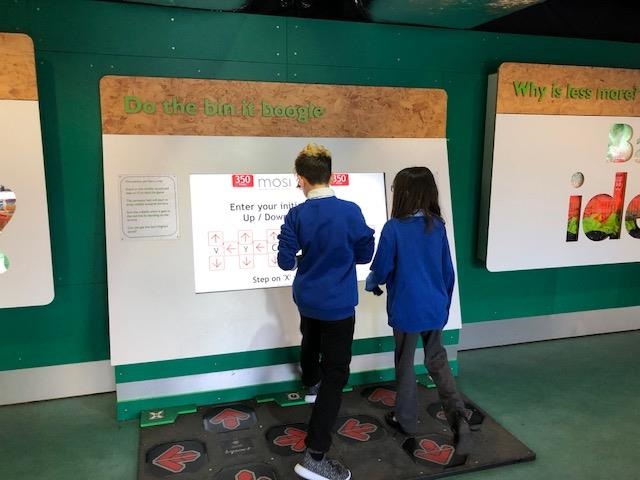 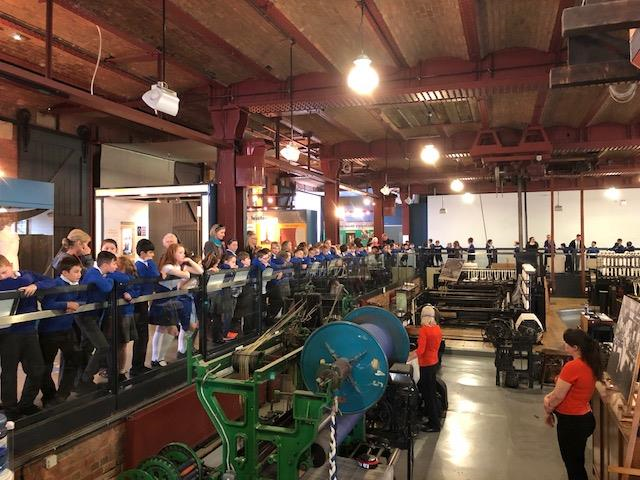 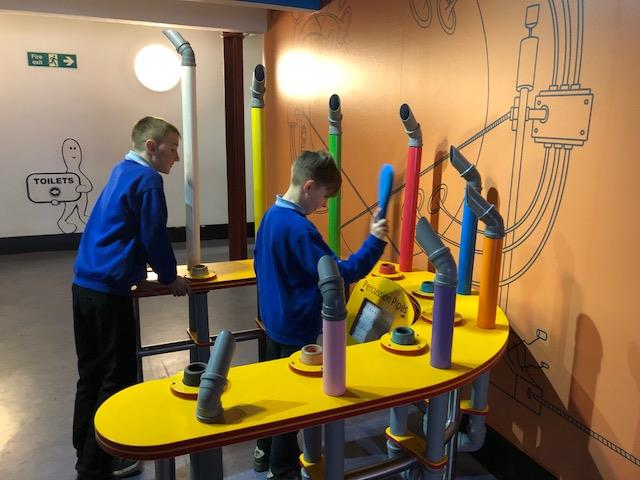 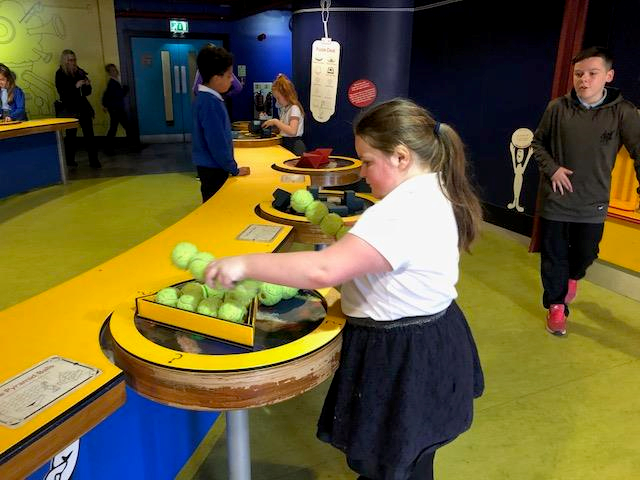 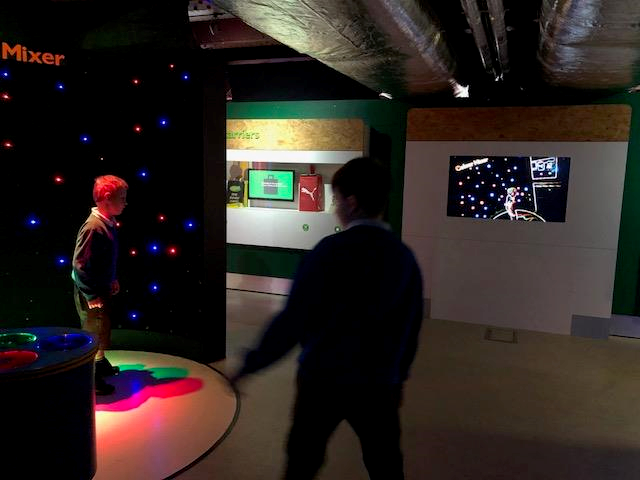 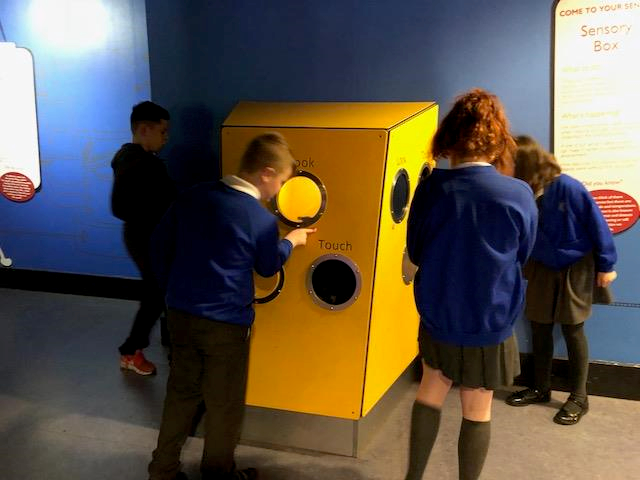 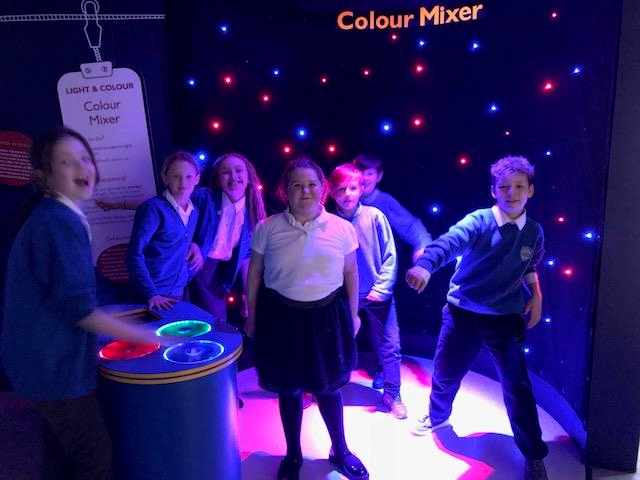 Our trip included having fun in the experiment room, learning more about how cotton was made in Lancashire, seeing a steam engine work and (most importantly) we got the chance to show off our science knowledge during our Forces & Flight workshop. 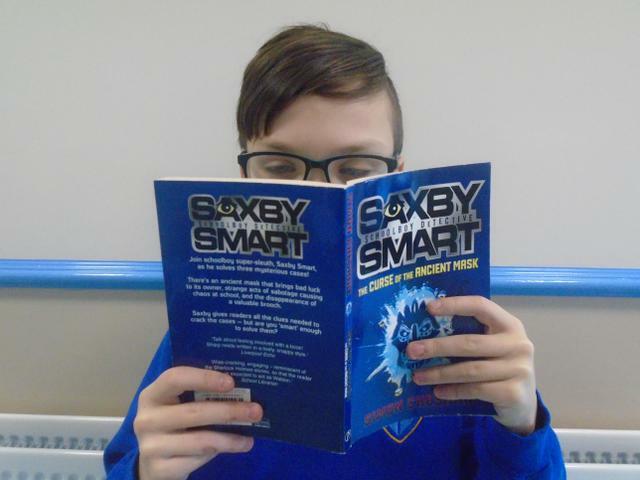 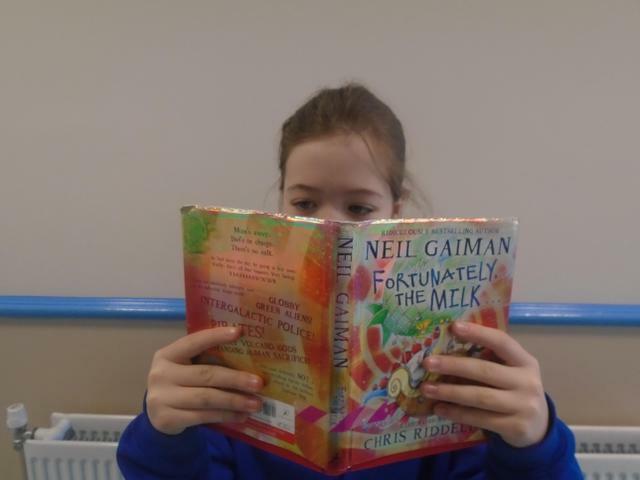 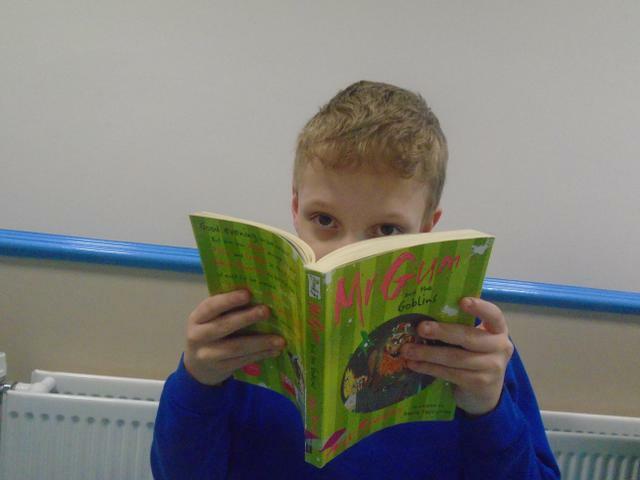 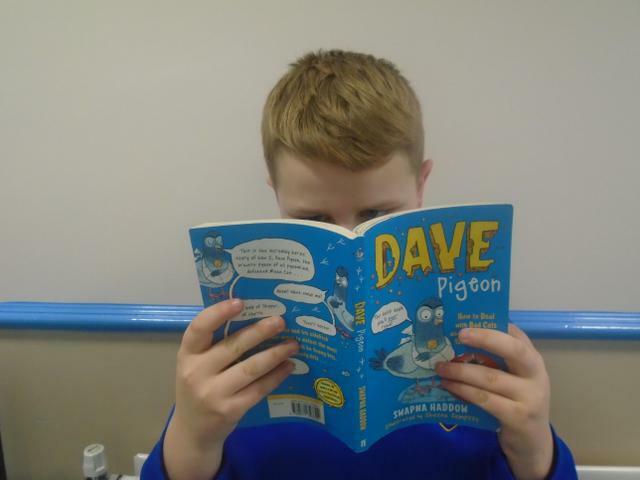 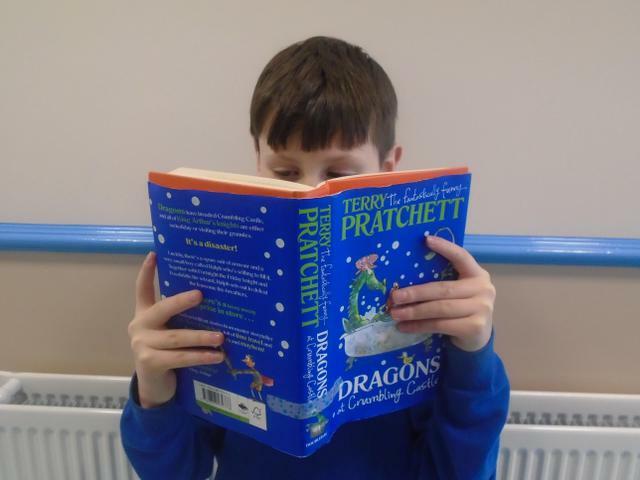 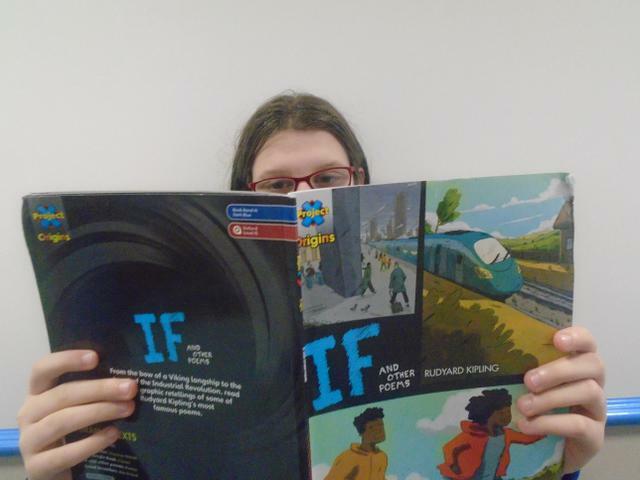 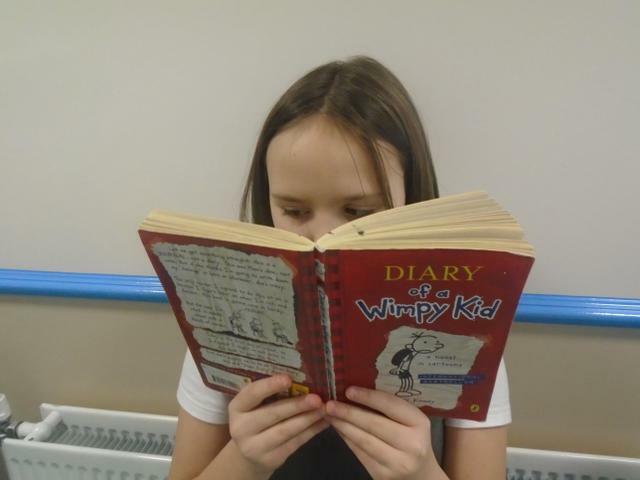 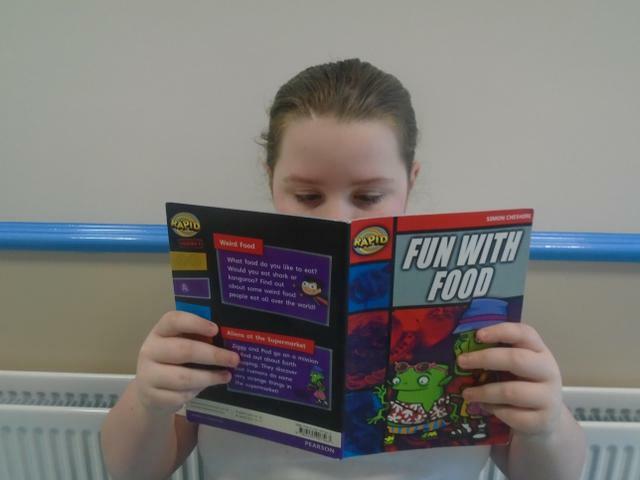 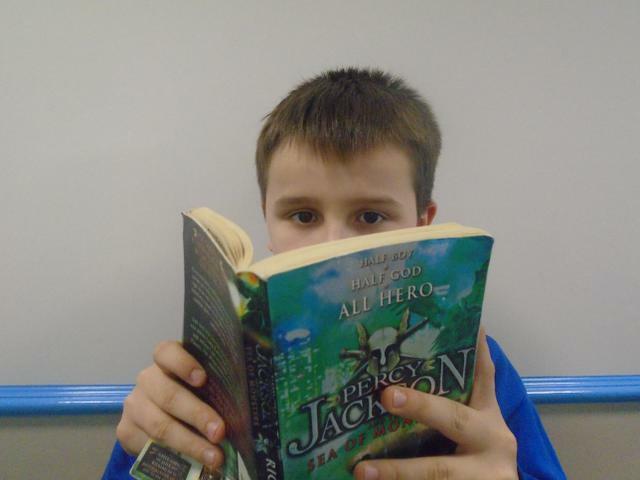 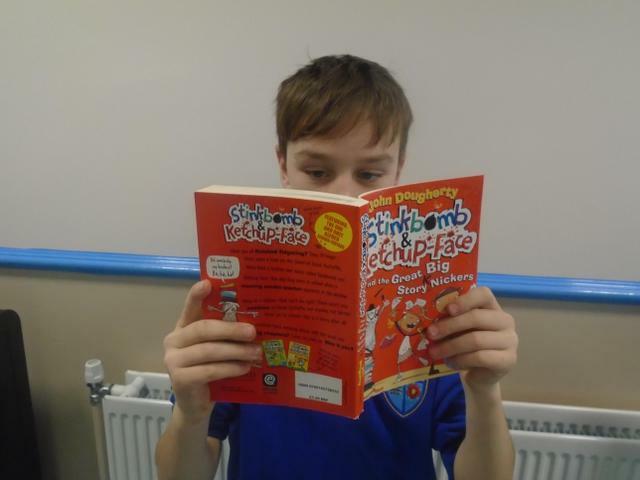 In 5/6K we know that reading is the key to everything and it is also lots of fun. 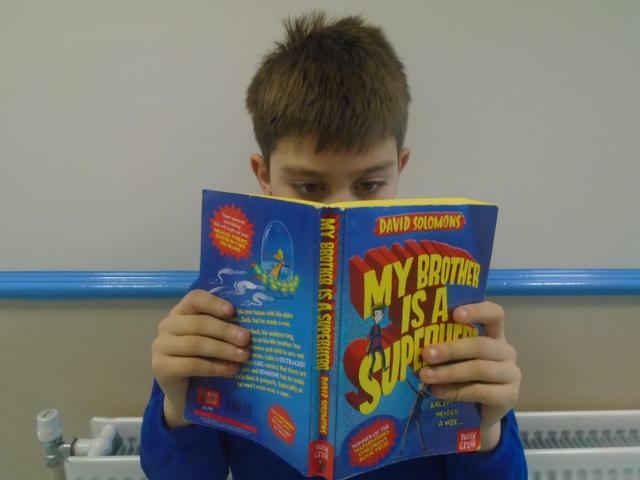 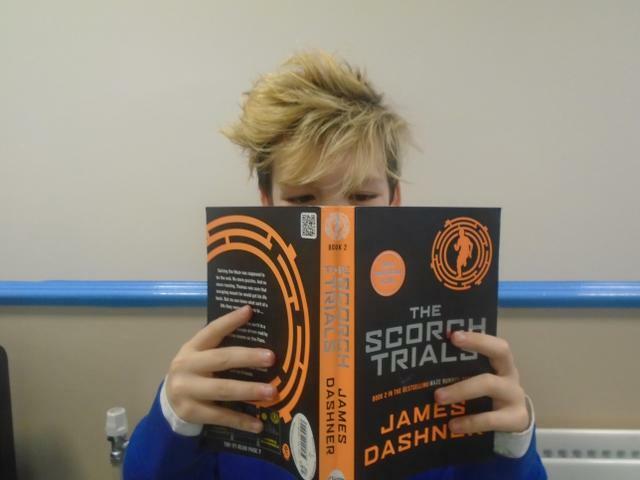 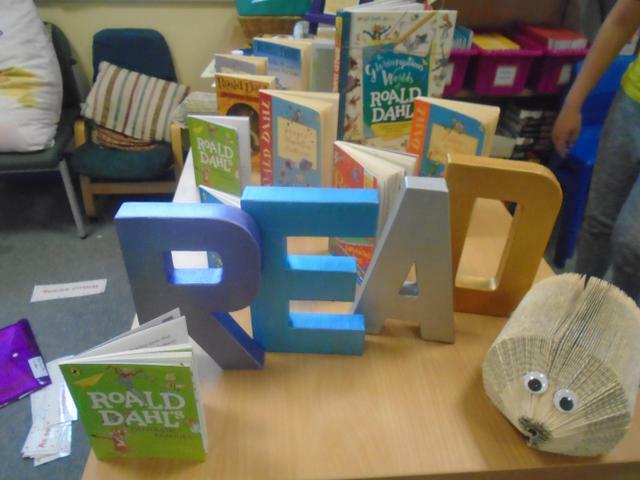 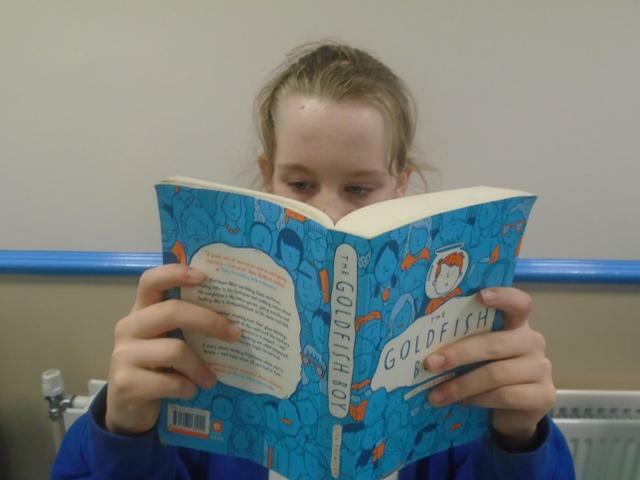 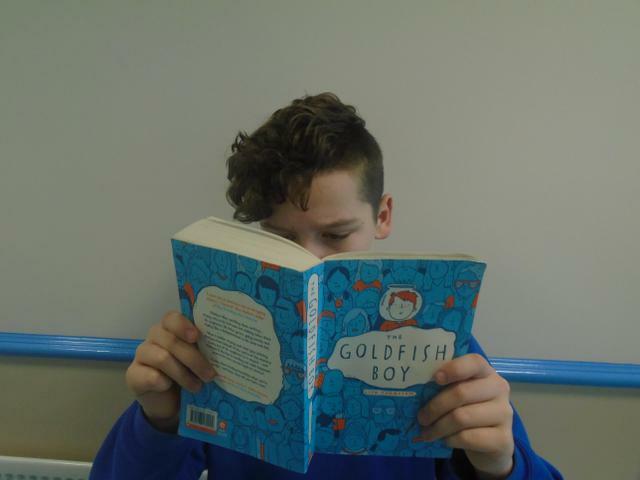 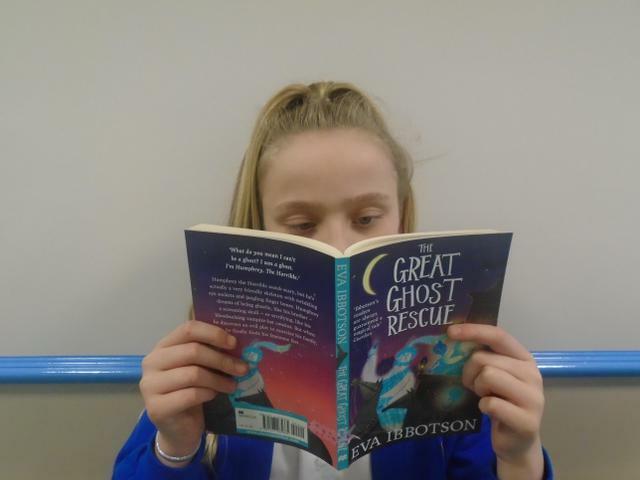 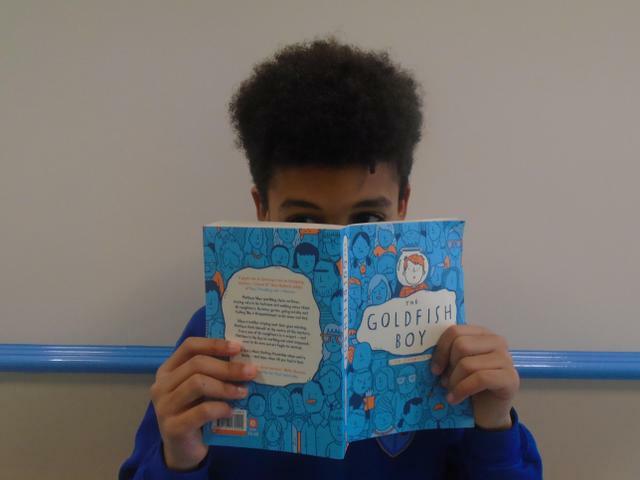 As well as reading our class novel and selecting books from our extensive reading scheme, we also have access to a fantastic selection of books in our reading corner. 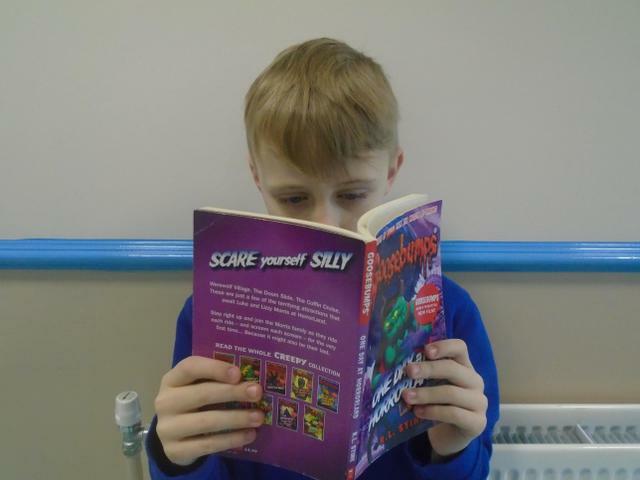 Can you spot who is reading what? 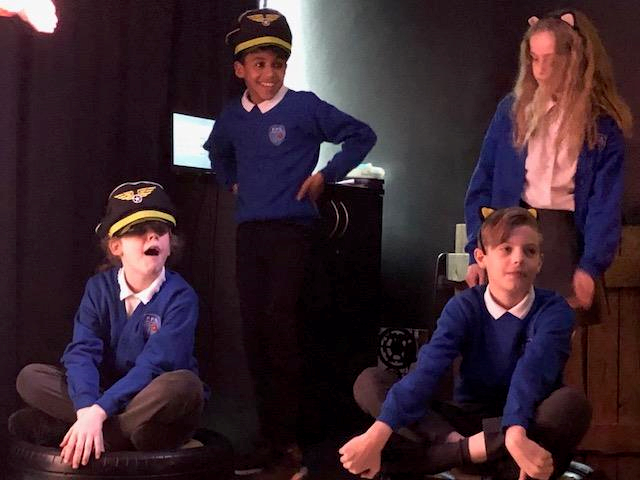 We had fun last week trying out some VR goggles. 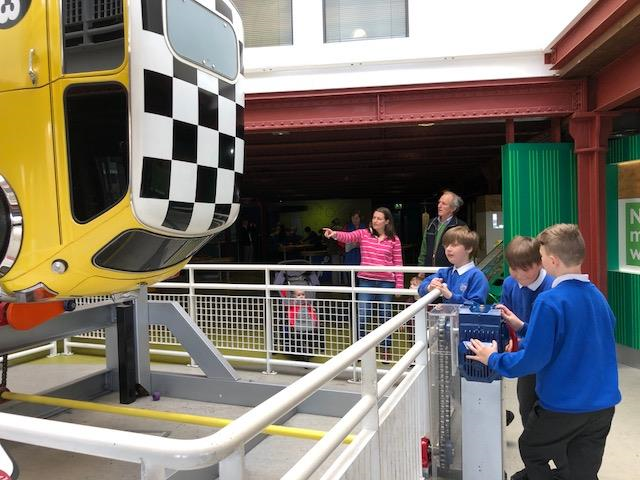 Mr Leyland took us on an adventure through space and then let us have some fun on a rollercoaster simulator. 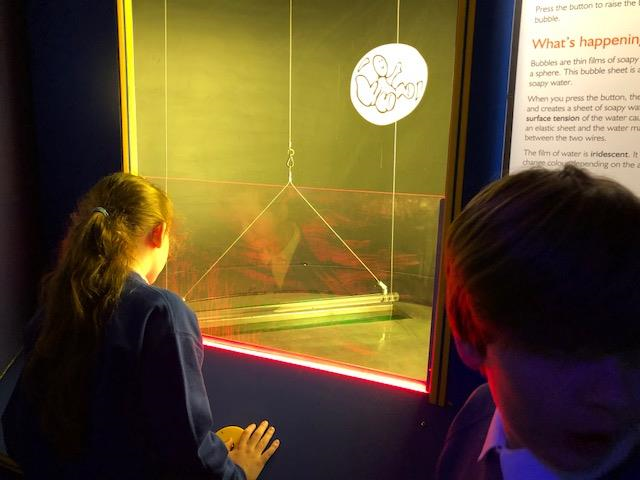 Our science topic for this term is all about investigating forces. 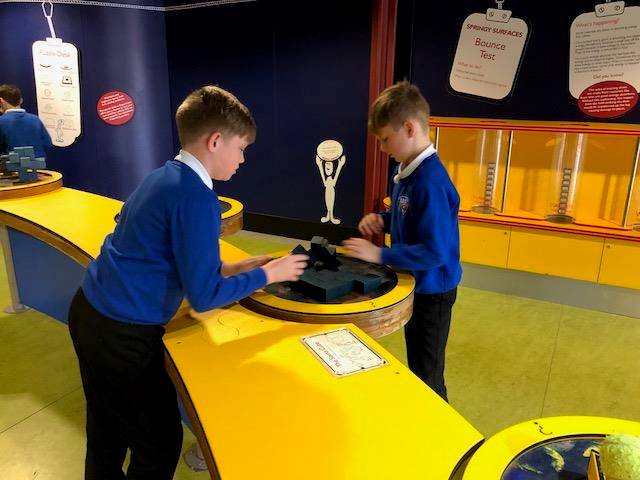 We have investigated friction, gravity, air resistance and water resistance. 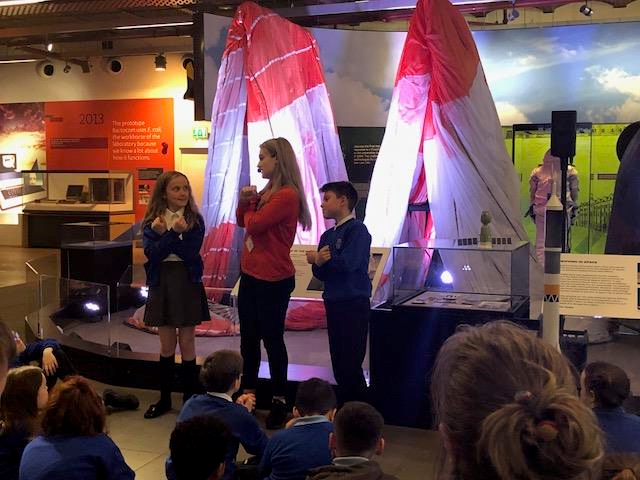 Part of our work as super scientists was to design and make our own parachutes which we then tested and evaluated. 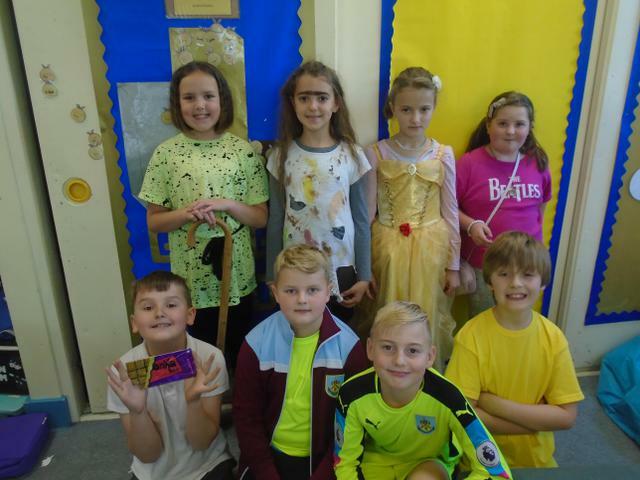 Well done to everyone for completing the Pyjama Fun Run to raise money to buy a scooter pod for school. 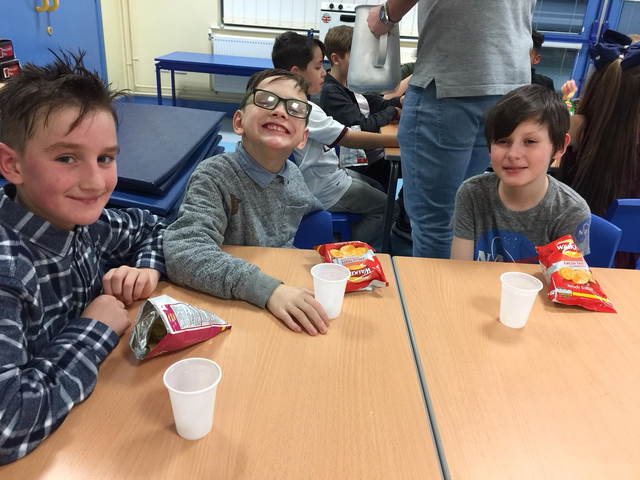 We managed to raise over £200 which is fantastic. 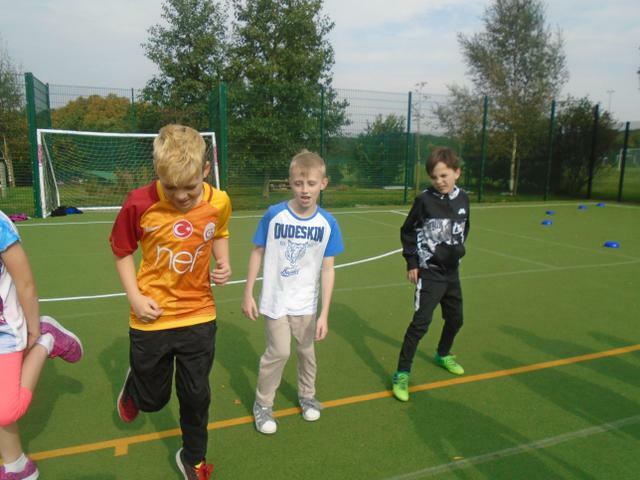 Our super runners were Nathan and Bret who ran over 10 laps in just 15 minutes. 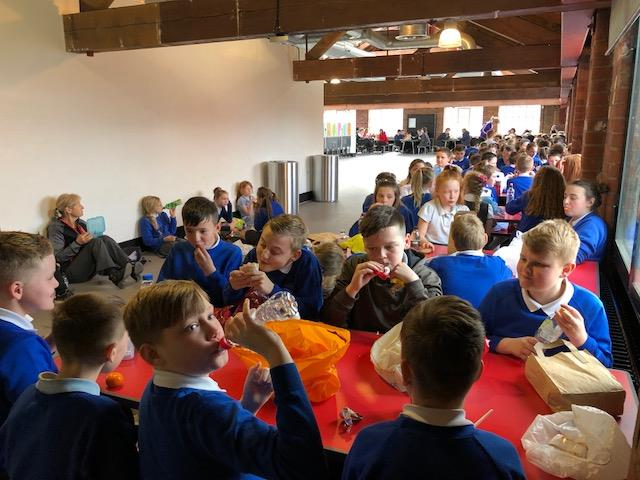 We were invited by Reverend Michael Prints to visit St Leonard's Church to find out more about the Nativity Story and what goes on in Church in preparation for Christmas. 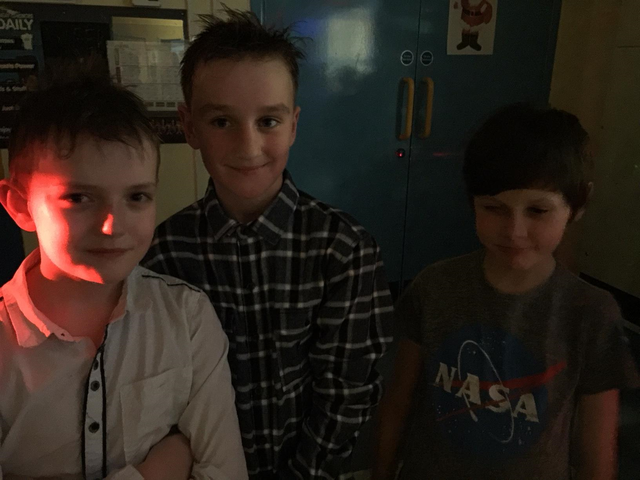 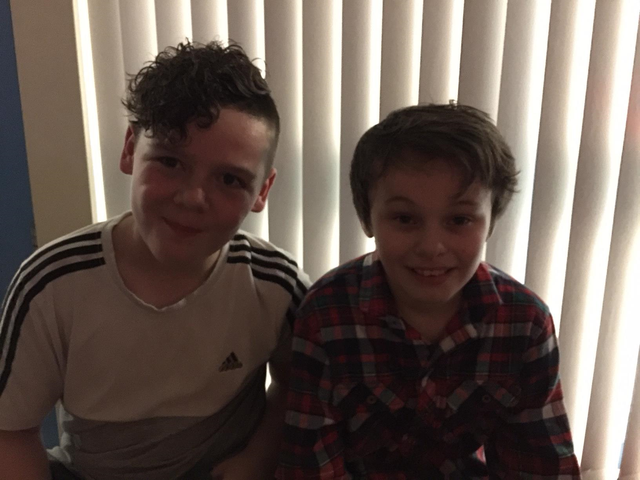 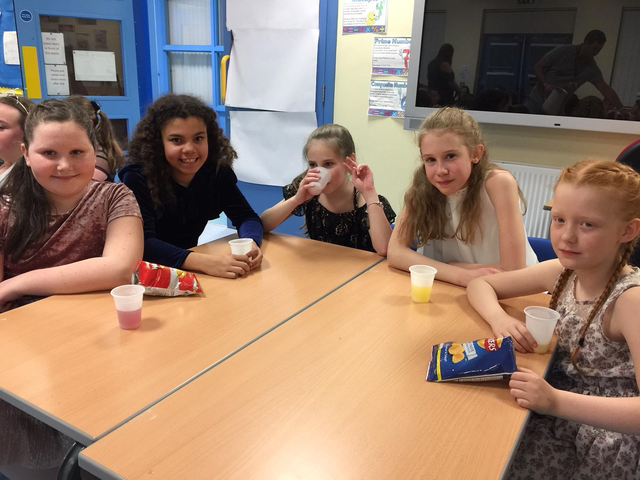 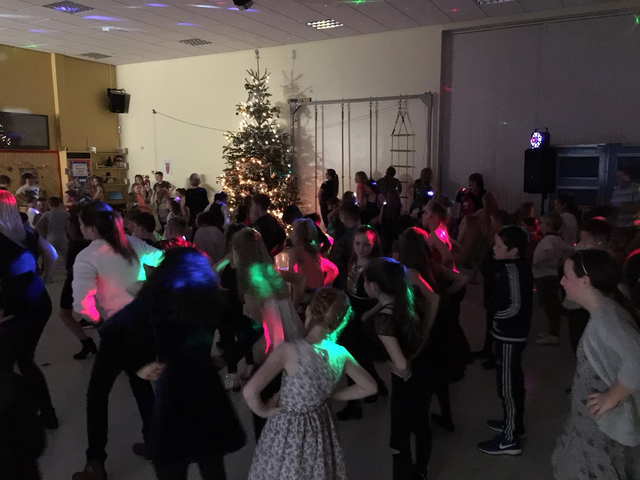 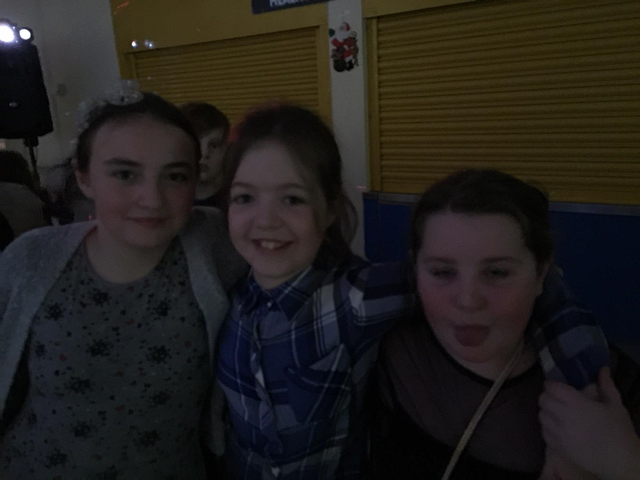 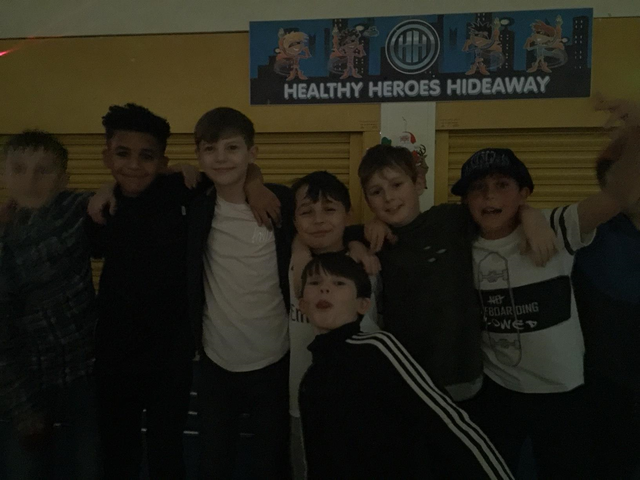 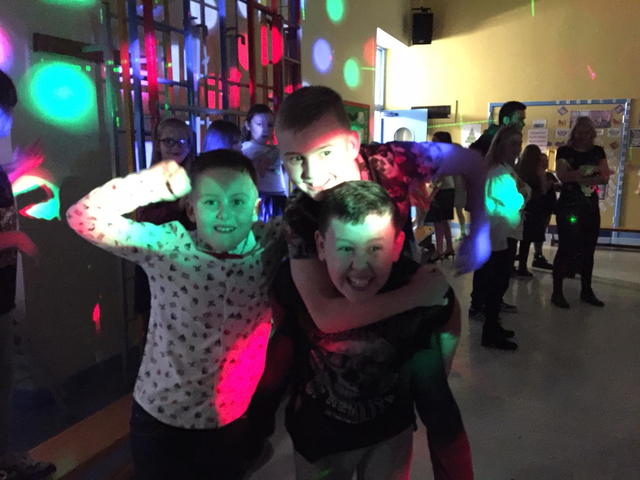 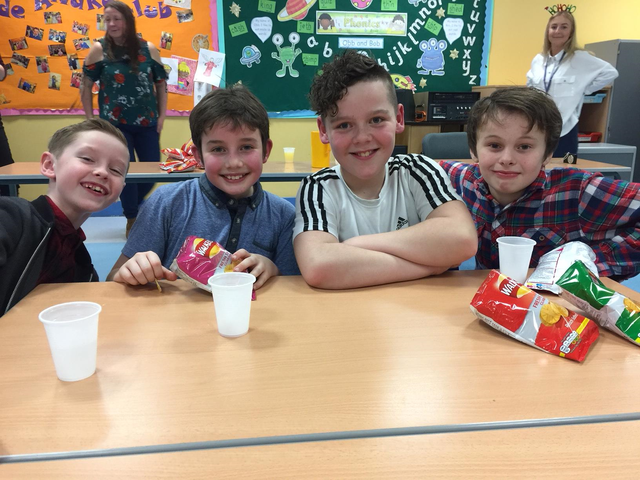 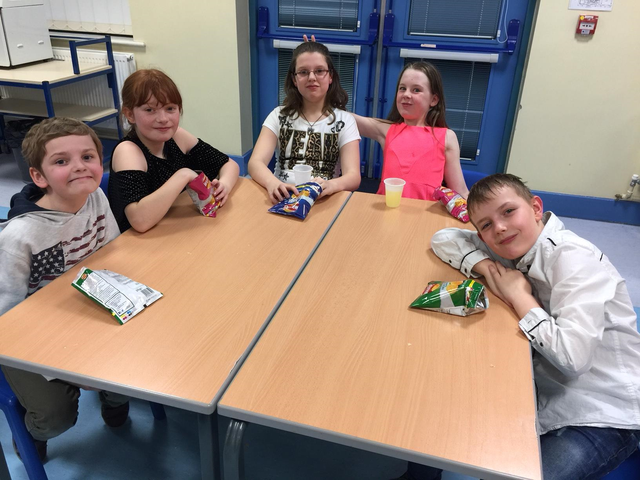 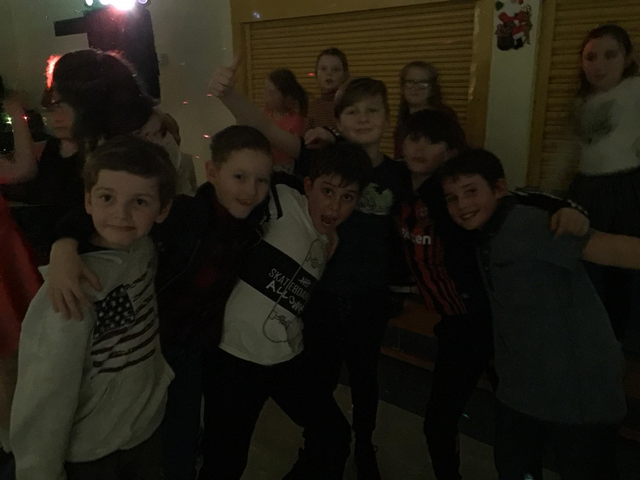 We had a fantastic time at our Christmas Party. 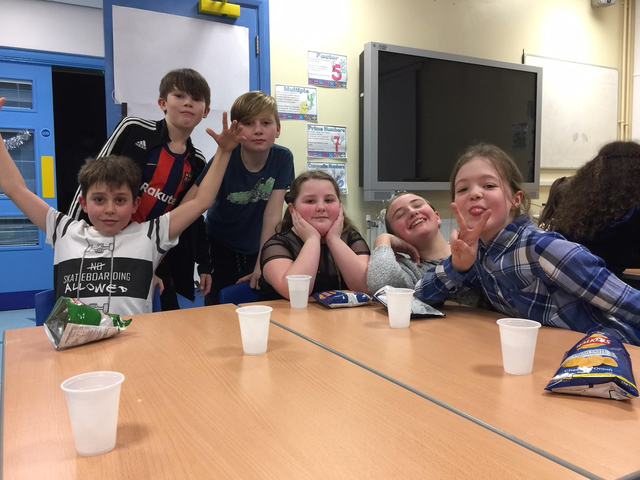 One of our games was to create a human snowman - which do you think was the winner? 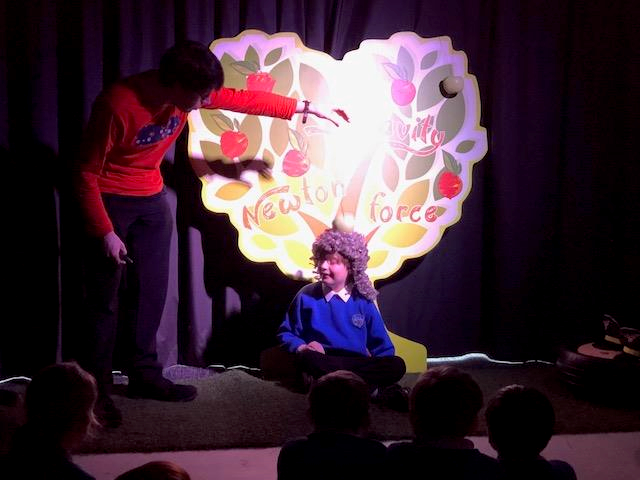 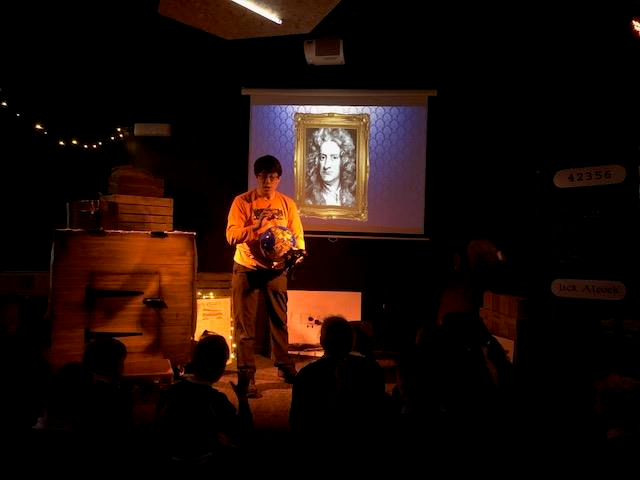 Everyone in KS2 was lucky enough to visit Burnley Youth Theatre to watch their Christmas production of Snow White. 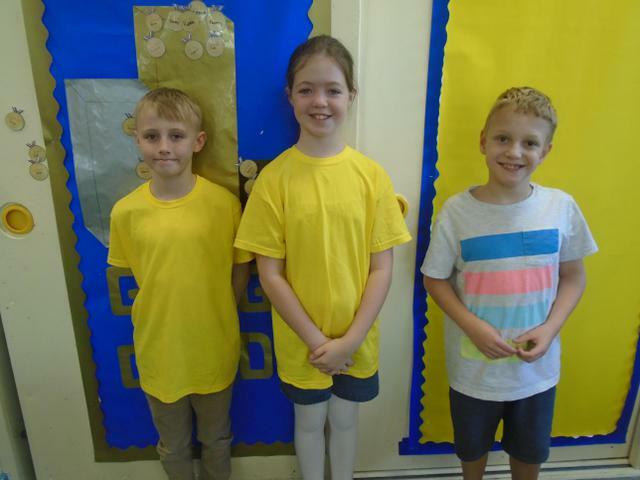 Well done to Elle and Logan who were chosen as the winner and runner-up in the Rotary Club writing competition. 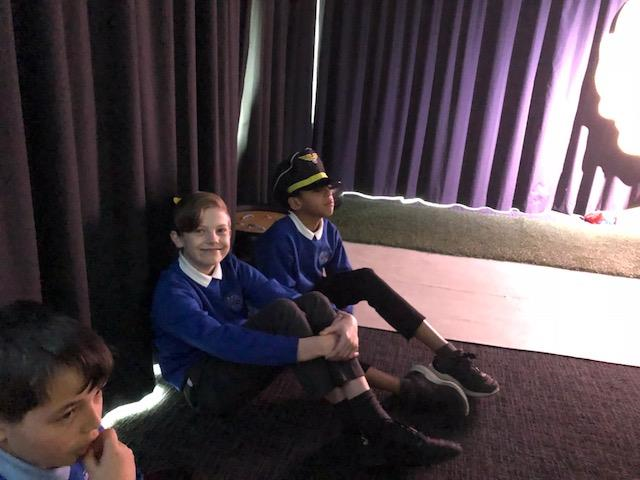 As part of the 'Into Film' festival, we were able to go to Vue in Accrington to watch the very funny film 'Captain Underpants' which is based on the popular novels by Dave Pilkey. 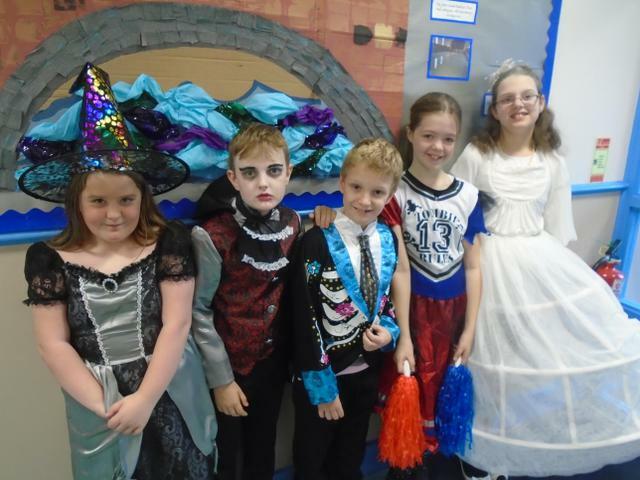 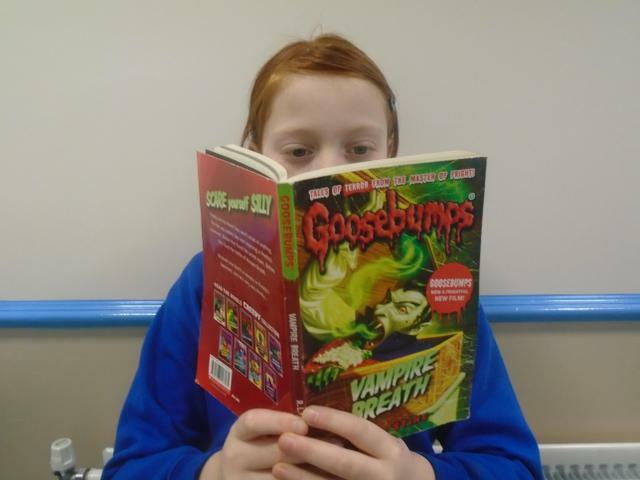 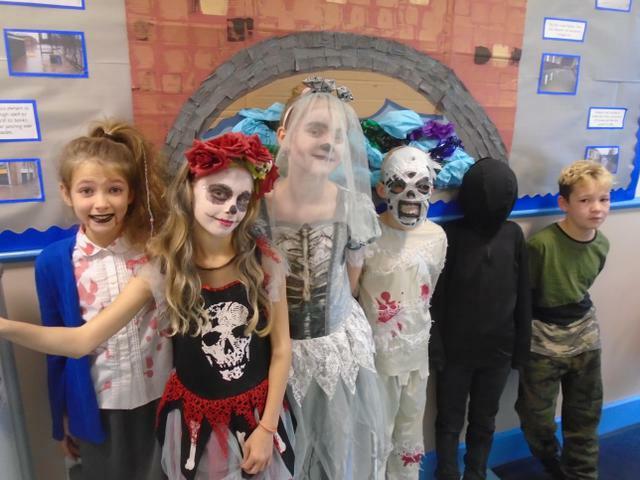 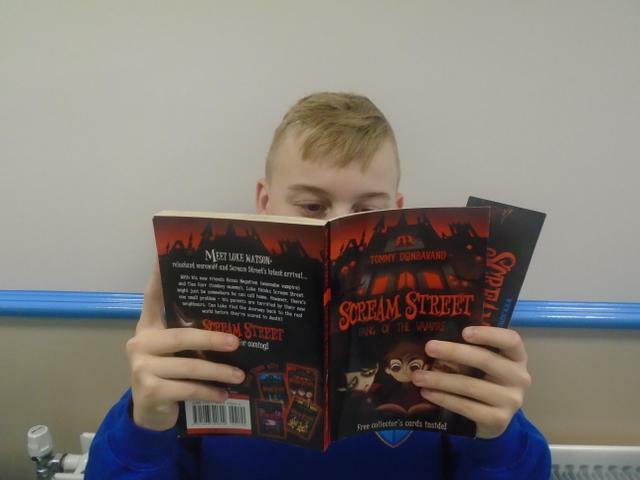 The theme for our Autumn term book week was 'Magic, Monsters and Mystery' and the grand finale was our dressing up day. 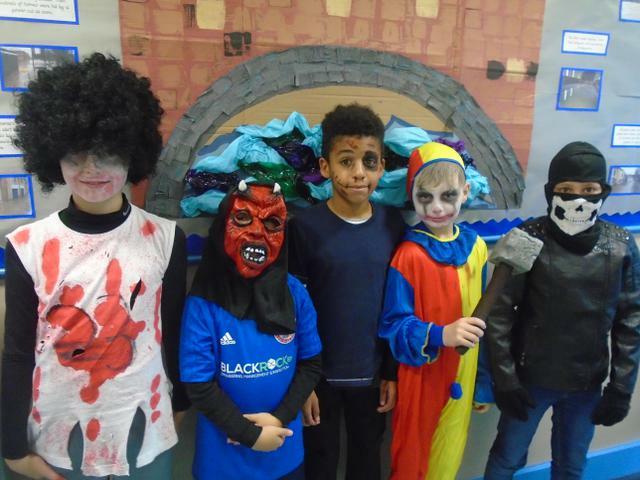 Everyone looked wonderful and we were all very impressed with the fantastic face paint that many of the class were sporting. 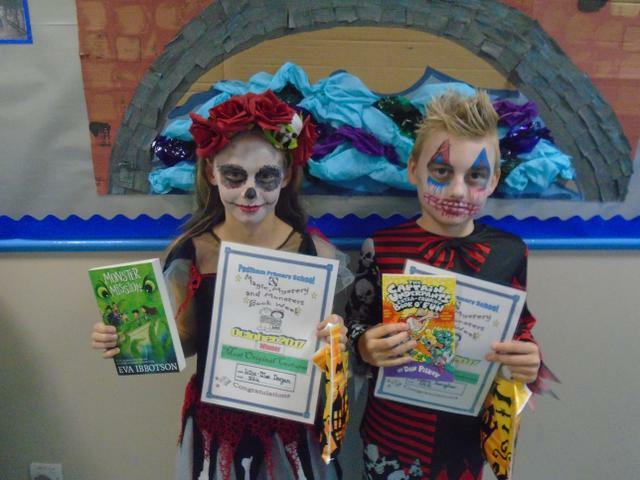 Well done to Harry and Lillie-Mae who were chosen as our winners - I'm sure you'll agree that they were worthy winners. 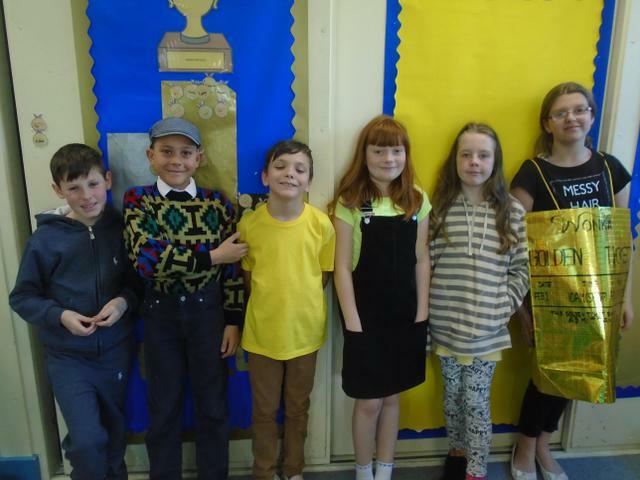 We were joined in school last week by the Reverend Michael Prints from St Leonard's Church. 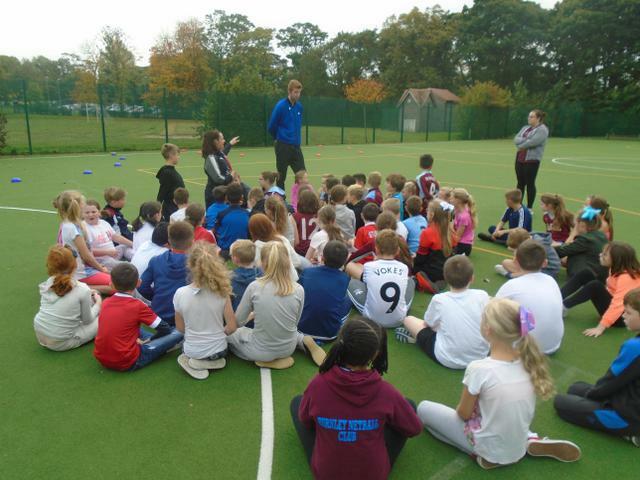 He came in to talk to the children about the Church and where people can find guidance in their lives. 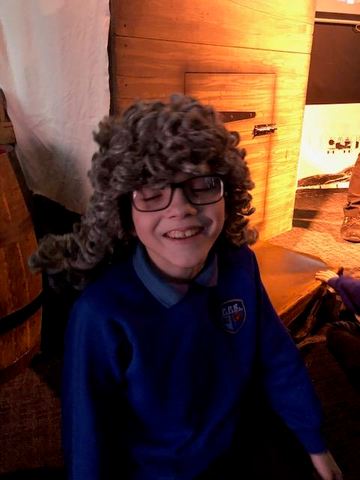 He proved to be a very interesting guest and the children did a fantastic job acting as interviewers, camera operators and journalists. 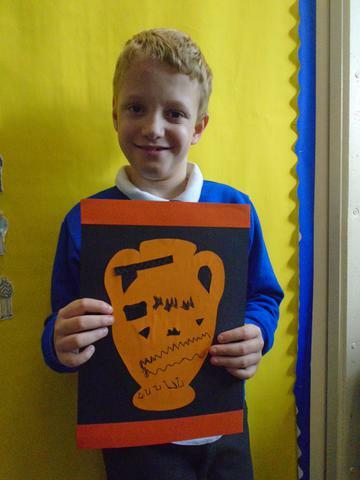 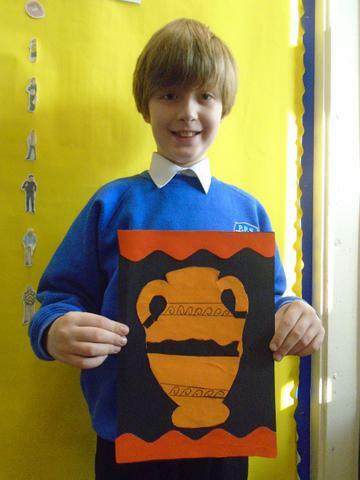 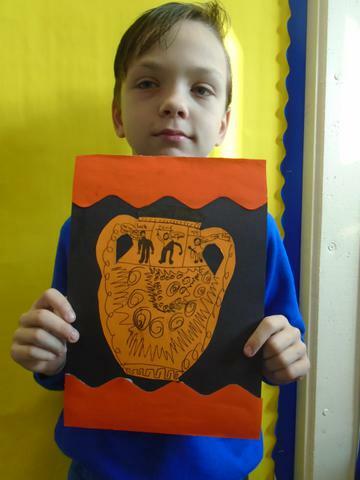 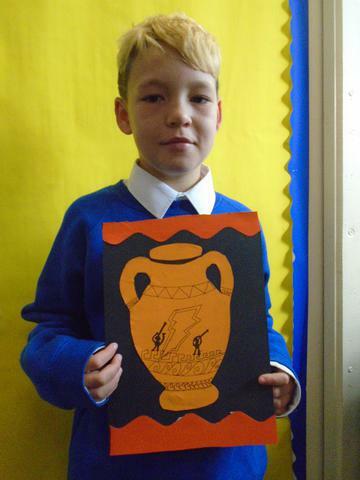 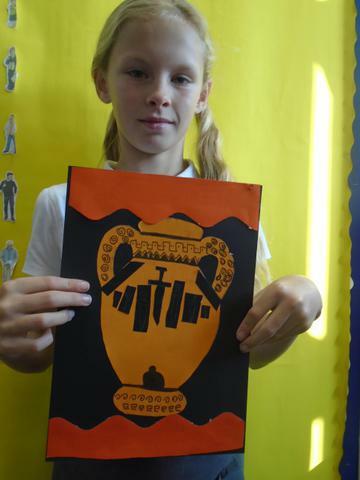 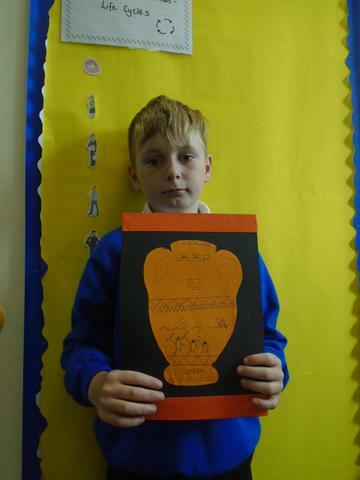 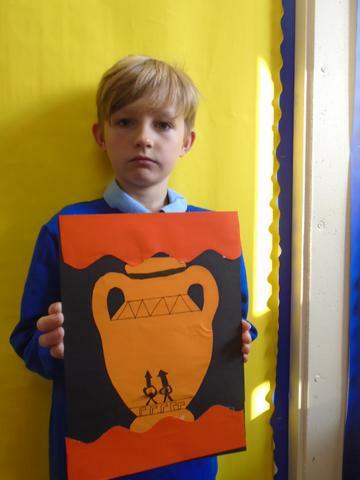 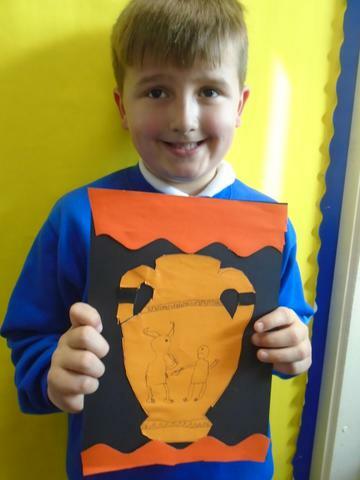 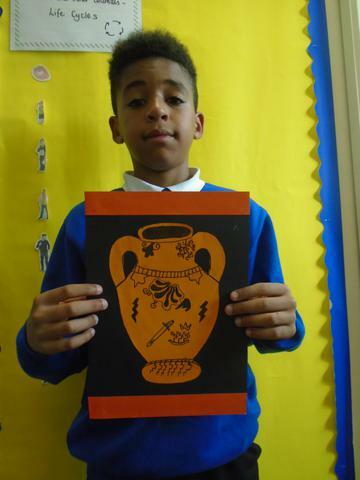 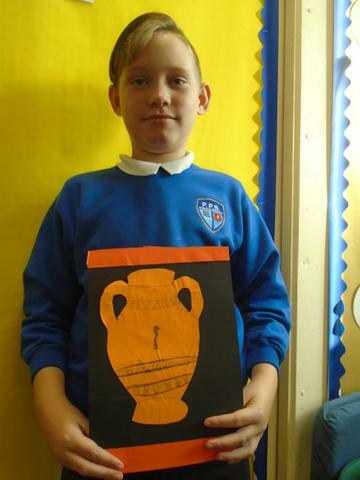 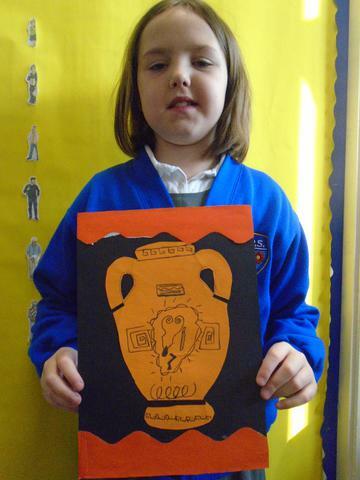 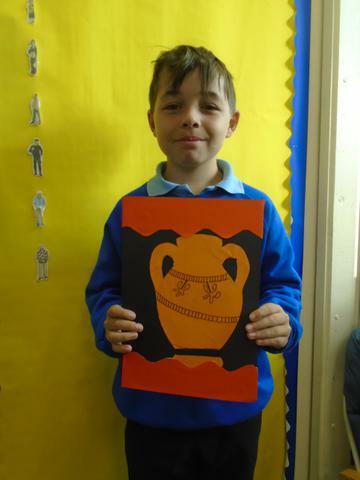 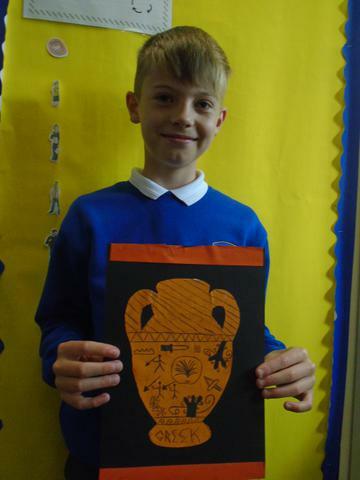 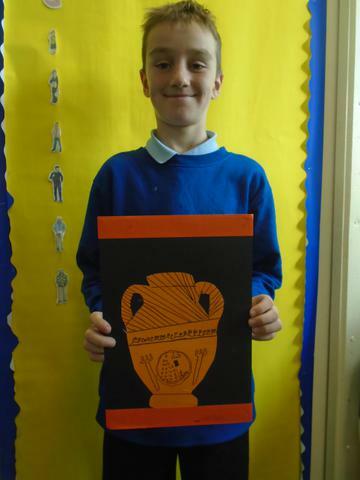 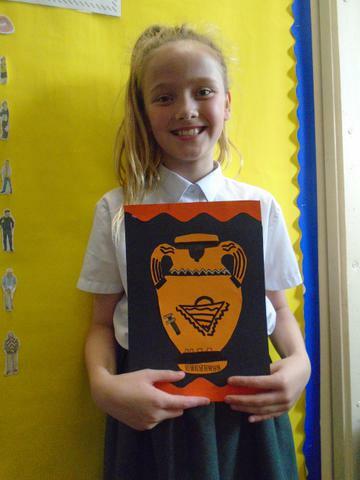 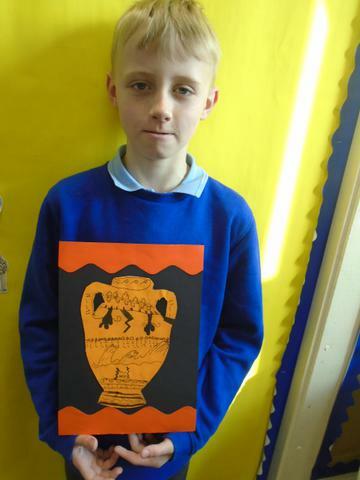 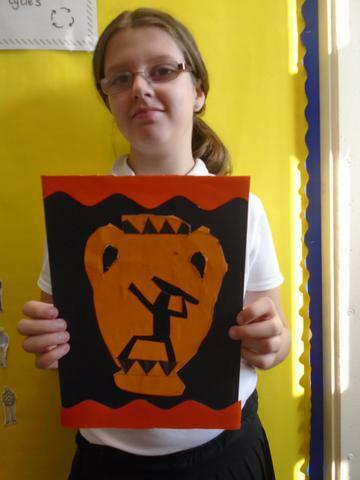 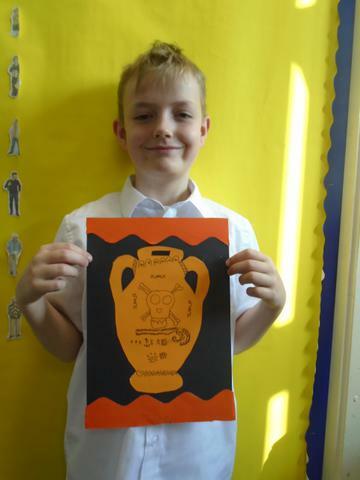 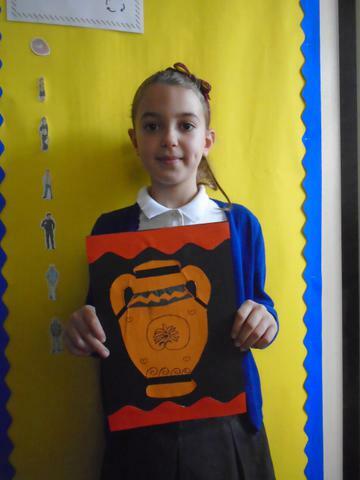 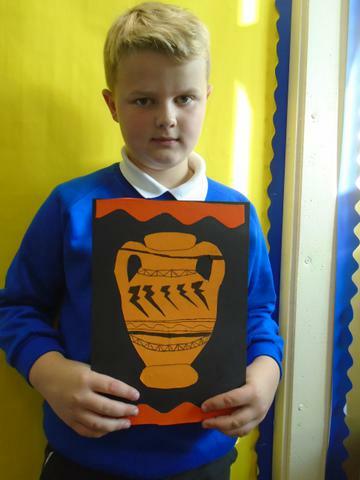 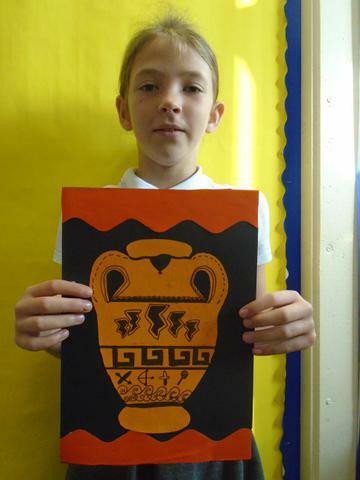 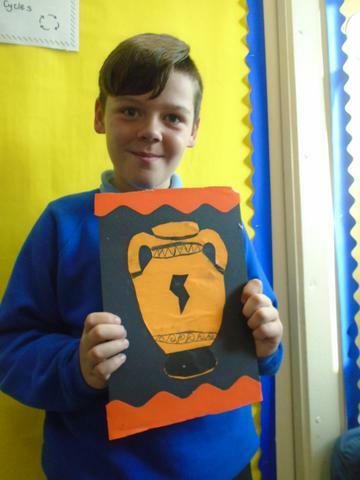 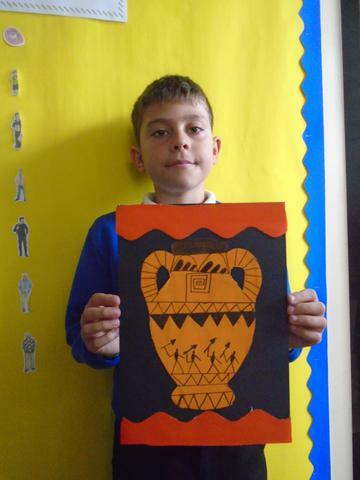 Look at our fantastic Greek Vase designs. 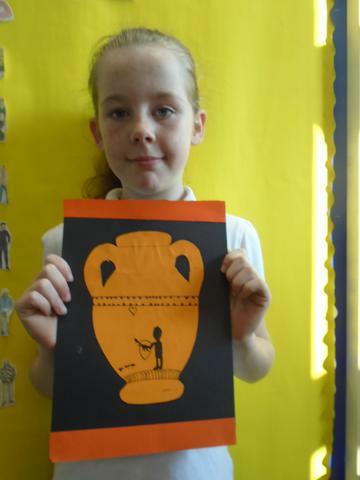 We spent some time studying vases from Ancient Greece. 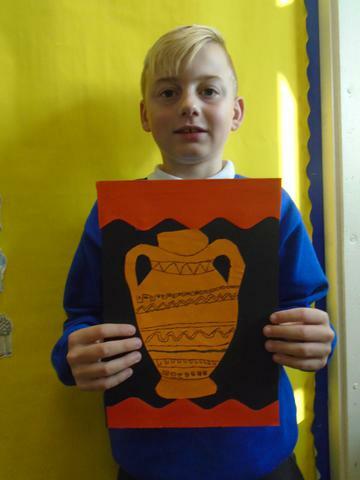 We looked at the pictures, colours and patterns they used and then tried to create our own unique designs. 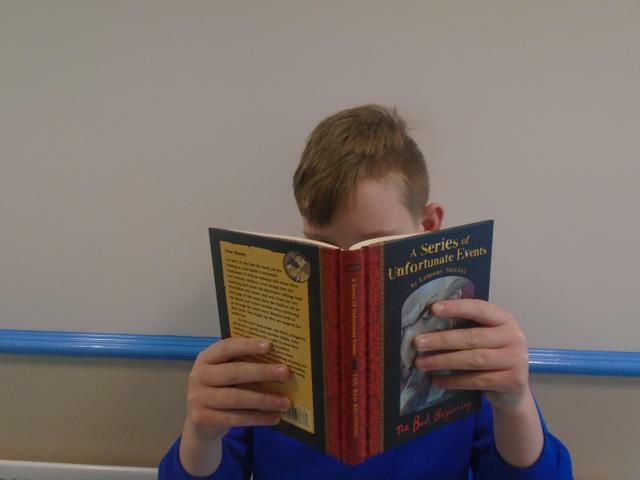 Thank you to the Padiham Rotary Club who came in to school this week to give out dictionaries to all of our Year 6 pupils. 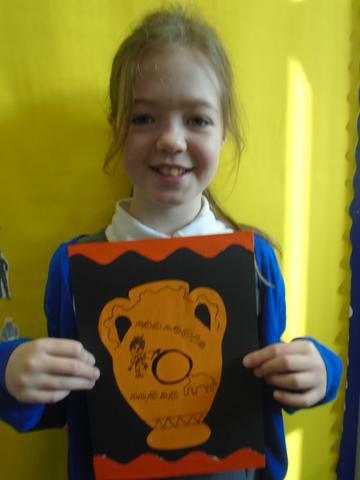 I'm sure that they will come in very handy when we write our Greek Myths next week! 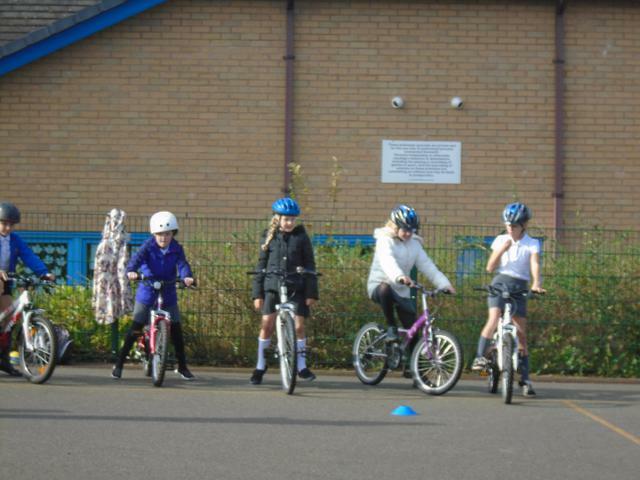 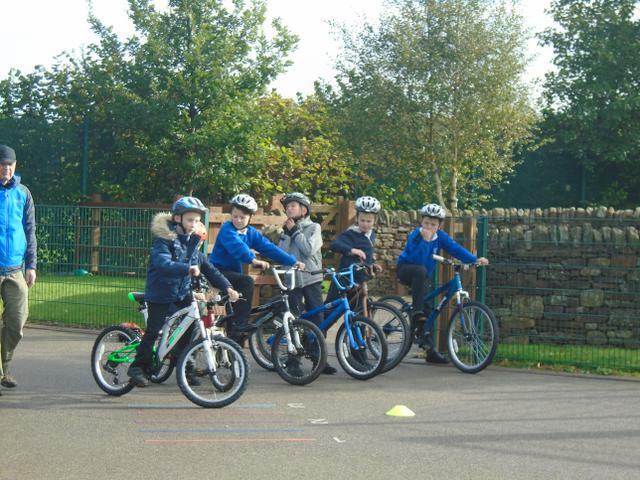 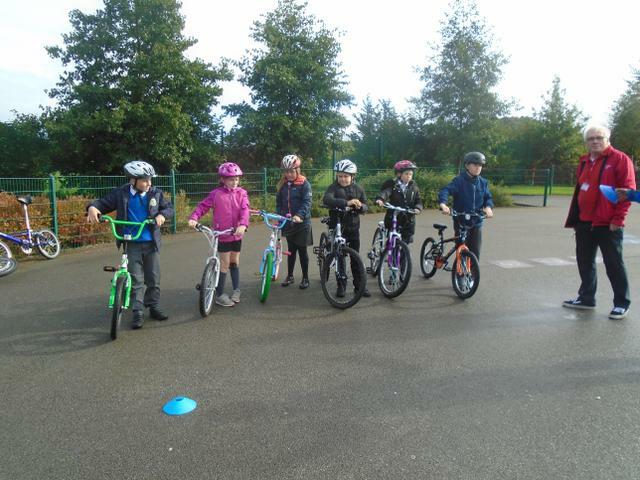 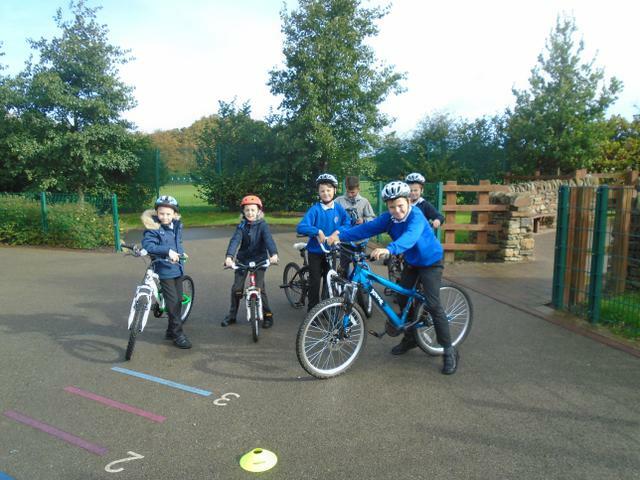 Well done to Alicia, Lillie, Bret, Lewis, Dalton, Harry and Josh who successfully completed their Bikeability course this week. 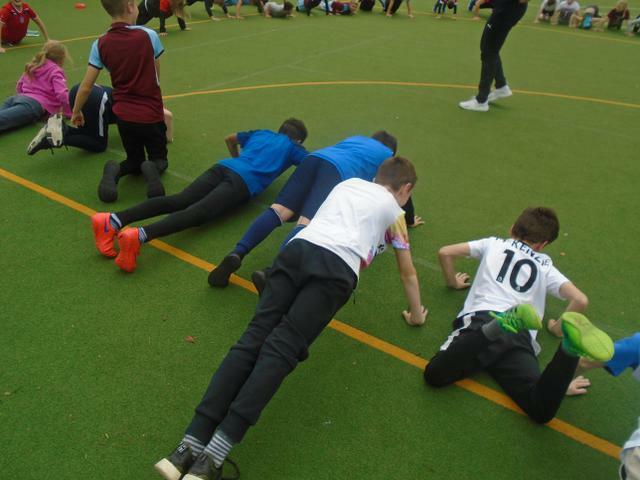 To celebrate National Fitness Day we all took part in an exhausting circuit training session with Paige from Burnley Football Club. 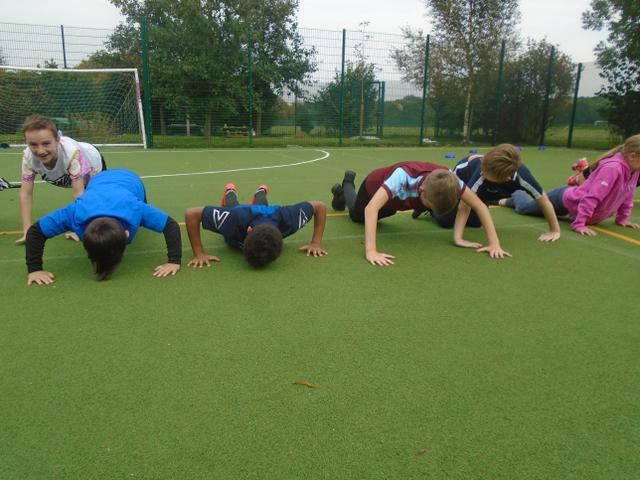 The session included star jumps, press ups, lunges, planks and much more - needless to say we were all exhausted by the end! 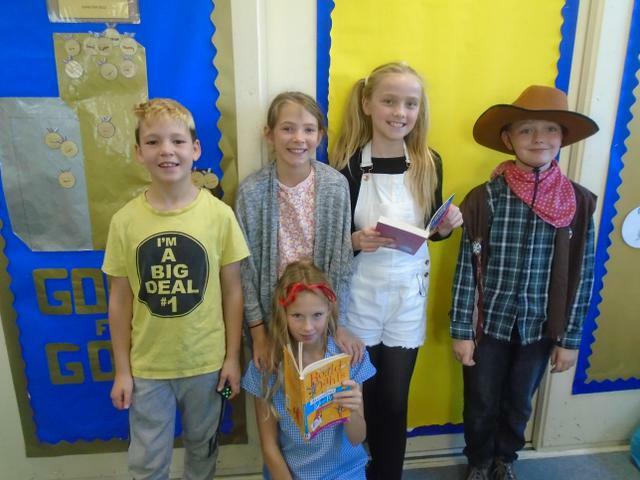 It's that time of year again when our school is flooded by a sea of yellow clothing, Oompa Lumpas, Matildas and BFGs. 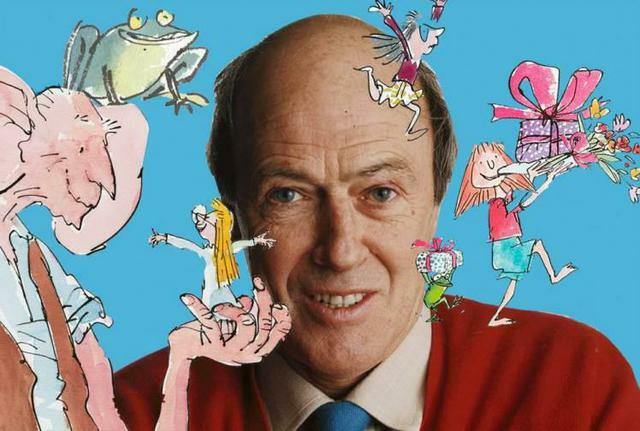 We love celebrating the life and books of Roald Dahl. 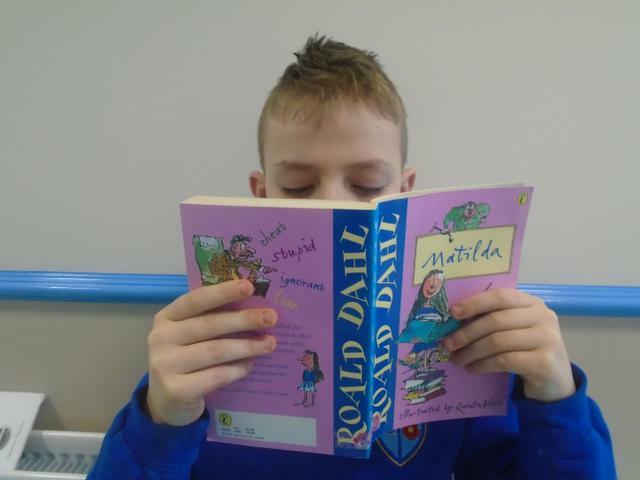 5/6K spent the day reading and enjoying his stories, creating art work based on the twits and trying to draw like Quentin Blake. 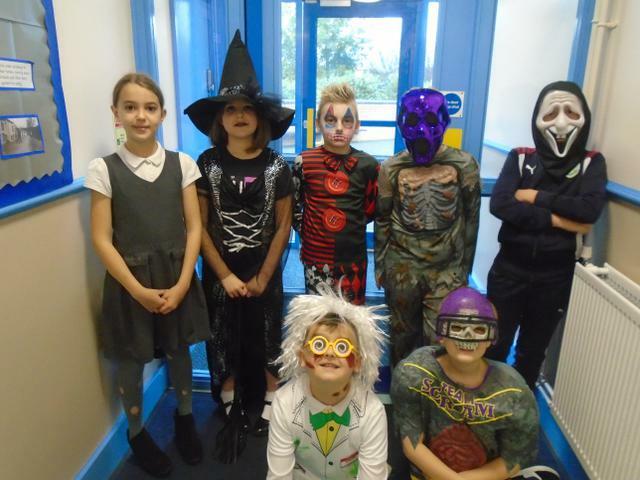 We also managed to raise over £200 for the fantastic Roald Dahl Children's Charity - Well done everyone! 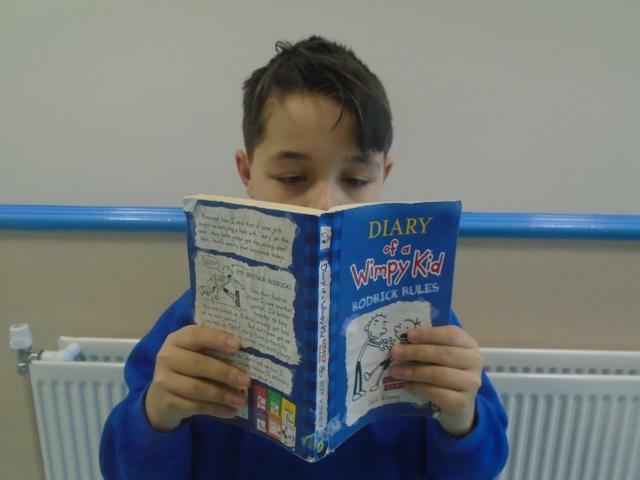 Reading is the key to everything! 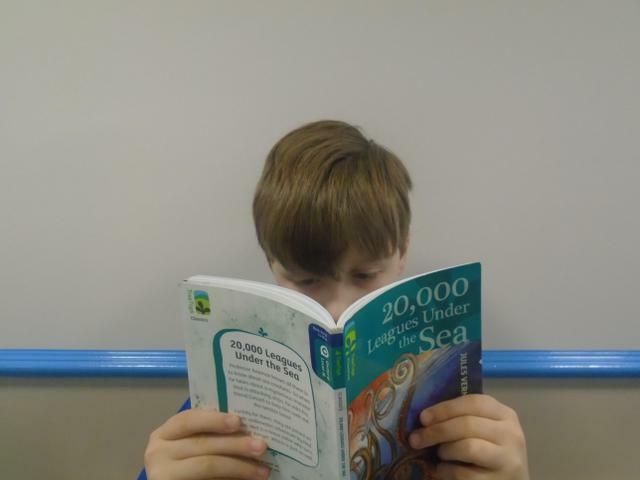 As Dr Seuss said, 'The more that you read, the more that you'll know - the more that you know, the more places you'll go!' 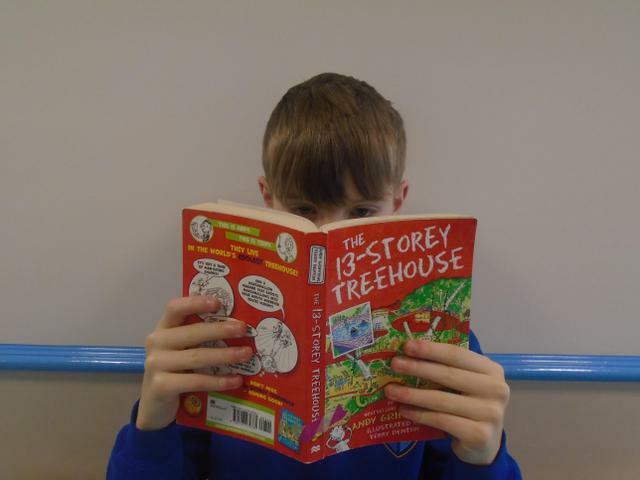 We have a cosy reading corner in class full of exciting things to read including books, graphic novels, magazines, encyclopaedias, newspapers and much more. 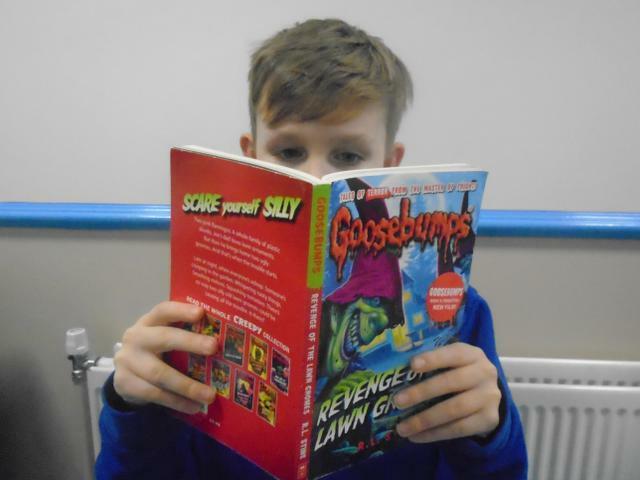 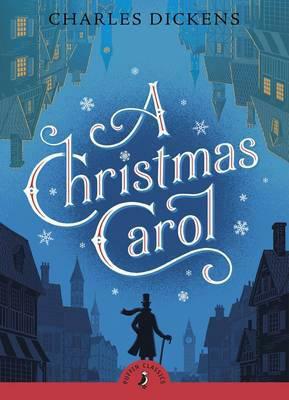 We also get to visit our wonderful library, choose from our selection of new reading books and enjoy our class novel together. 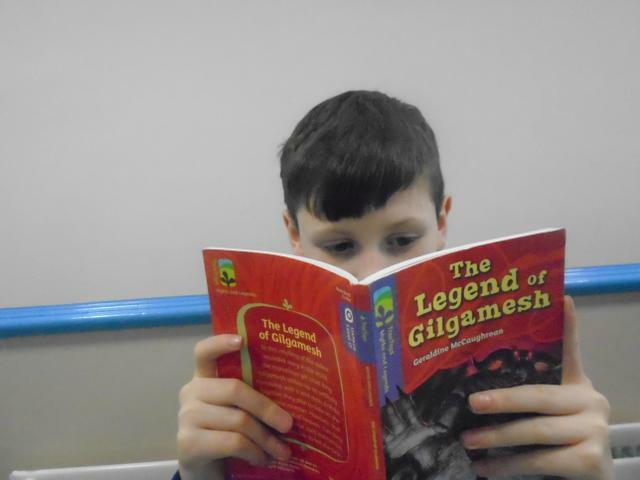 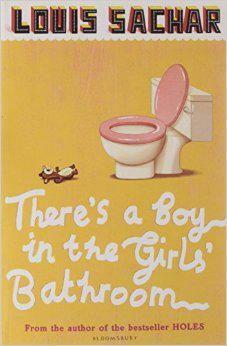 We are currently enjoying 'Who let the Gods Out?' 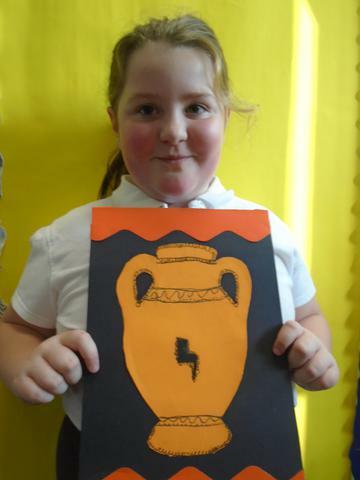 by Maz Evans.